These blog entries don’t have a home so we left them adrift. It happens. Sometimes, we write about everything…or nothing…or something in between that doesn’t fit in any of the other categories. My Old Kentucky Home is known for several notorious icons; Corvettes and Colonel Sanders, Bluegrass and Bourbon. Kentucky is also recollected for a huge cash crop; tobacco. 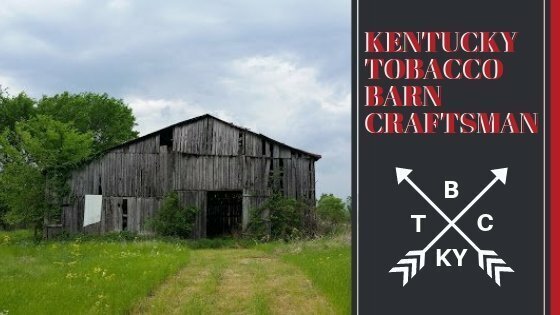 However, there’s something else inside those black-tarred tobacco barns that’s smokin’ hot! When we set out on our nomadic quest, one big anchor seemed to weigh us down. 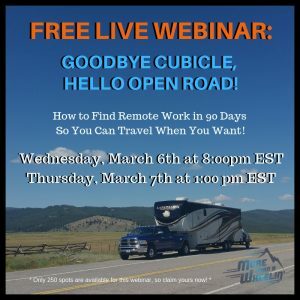 That big question, “what happens if we need to vacate our RV to fly home for emergency, go on a non-RV vacation or meet a client in a different city for more than an overnight?” Since we’re not keen on boarding our nomad cats, we needed to think about the ‘what if’ and figure out how we’re going to find worthy person(s) to take care of our precious furry family members. 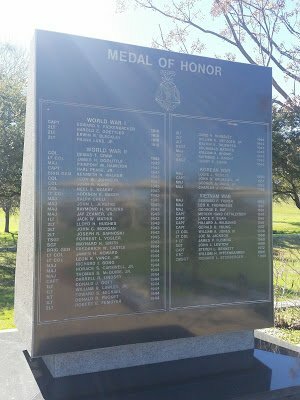 Our first time facing this dilemma was when we first arrived in Castroville, Texas in late fall of 2015. 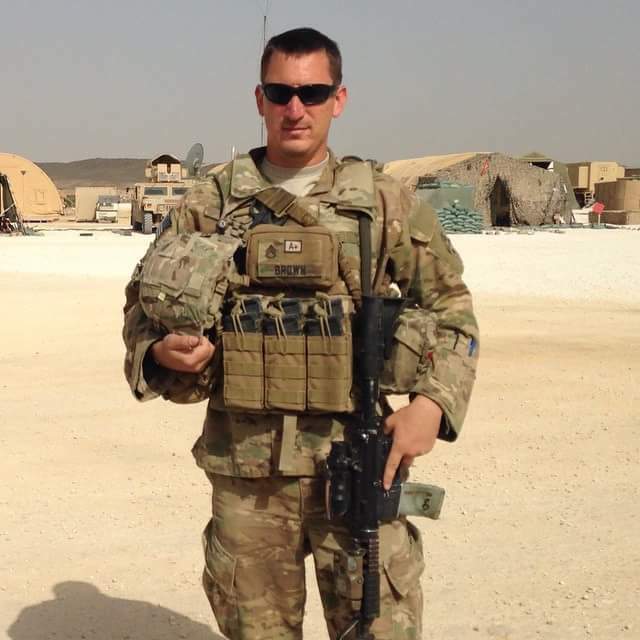 Our son’s Army Unit Family Readiness Group called us to let us know when their unit will be arriving home from Afghanistan. We wanted both of us to attend his homecoming at Fort Carson, Colorado but we were pretty sure only one of us were able to go because that looming issue was going to hold one of us down. 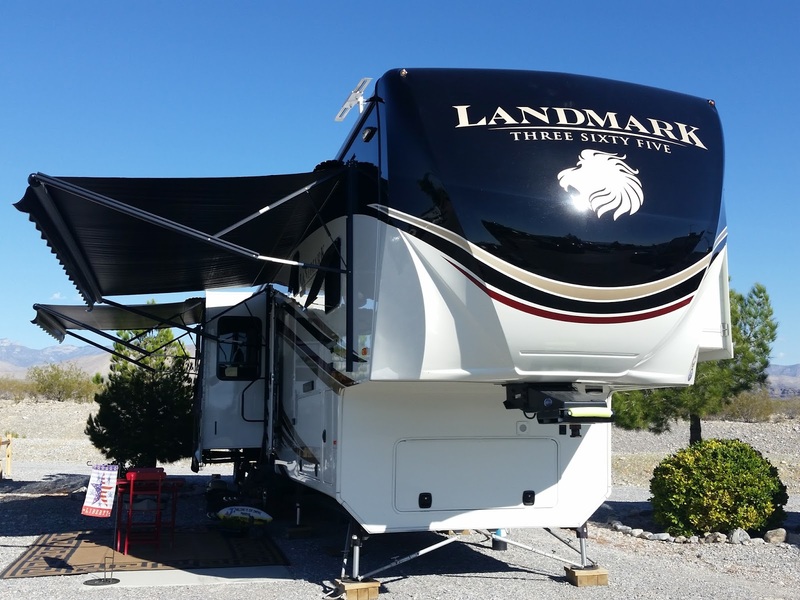 Once we parked Liberty at the Alsation RV Resort, unhooked and set up, we immediately met our neighbor. 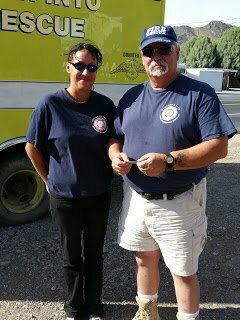 We discussed among ourselves if we even dare take a chance on asking someone we didn’t even know and giving them access to our RV to take care of our nomad cats and coach. Sounds pretty scary right? We were apprehensive. I mean, who wouldn’t be? Would you give your house key to a complete stranger that just moved into your neighborhood to have access to everything you own and your beloved furry family members? However, in lifestyle we now live, we ‘learn and earn’ our new family on the road…trust; and that trust goes both ways. 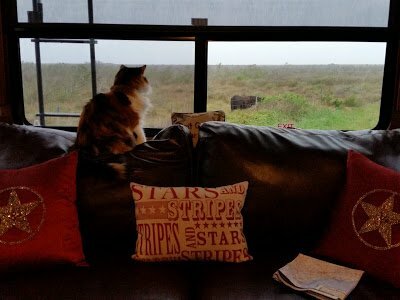 We noticed our neighbors in the motorhome next to us had a cat sticker on their door which gave us that ‘hmmm, I wonder if…’ Well, we put it in God’s hands and trusted that he would guide us. 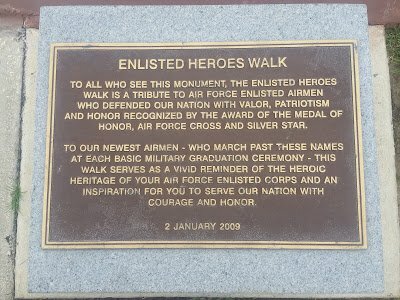 The neighbors were nice and found that they too, were military veterans so that put us a bit more at ease. Still, it was a bit scary however, we packed our backpacks, fueled up Captain America, gave the key to them leaving precise written instructions on the counter. We patted our fuzzyheaded nomads on the noggins and kissed them goodbye hoping return to everything in tact and happy cats. Early morning, we drove a 900 miles from San Antonio, Texas to Fort Carson Army Post in Colorado. 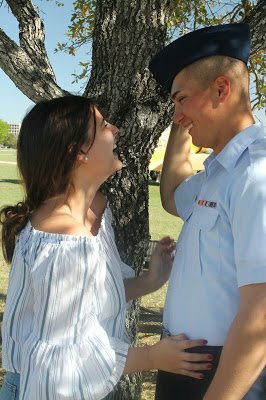 After five days of welcoming our son home and helping him get settled, we drove back to San Antonio literally holding our breaths. As we drove back into the RV Resort, we were relieved to see our ‘then’ Cyclone Toyhauler still parked there looking the same as when we left. 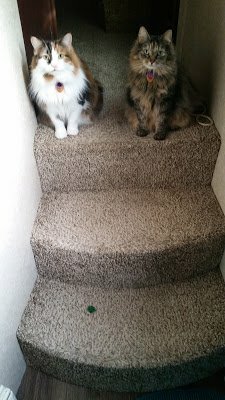 We unlocked our RV door only to be greeted by our two sleepy-eyed kitties who were seemingly glad to see us. We were thrilled that they had all of their fluffy hair and were still pudgy. Sighs of relief and smiles beamed on all of our faces. We were grateful that they AND our home on wheels were taken care so lovingly. It was then we learned that with this lifestyle, we CAN rely on our RV family should we ever we have to step away. 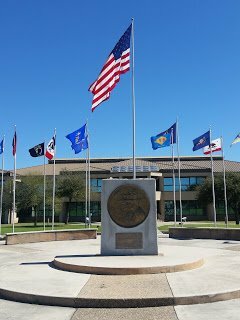 Fast forward to February 2017, we were at a slow crawl with no real set schedule from making our way to San Antonio, Texas from southern Arizona to get our annual medical appointments completed. However, we were stopped in our tracks in El Paso when we received a call from Dan’s mom to ‘come quick’ as Dan’s Dad was gravely ill back in his hometown in Pennsylvania. Already stressed from finding boondocking spots on our way back to San Antonio, this just sped up the process and now the emotional aspect of Dan losing his Dad took a toll. 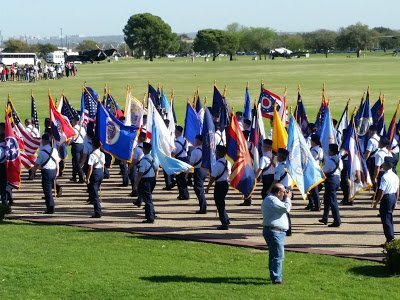 Our reservations for Fort Sam Houston FamCamp were penned in for March 1st; practically a whole month away. 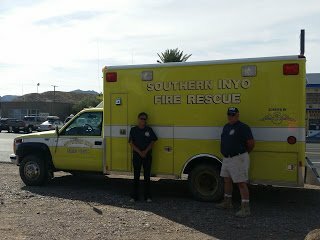 We called to see if we could arrive earlier because of our family emergency. Unfortunately, we were told there was ‘no room at the inn’ so we were scampering for a place to park Liberty near San Antonio to get a rush flight home. We thought at that moment that we were going to ‘have to’ board the girls; something we were emphatically against. But then our RV Family came to the rescue! 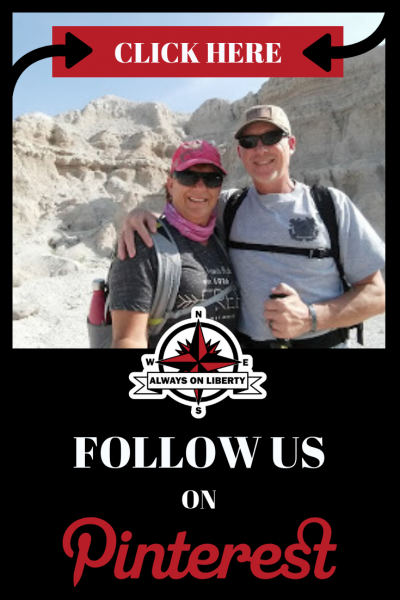 Our RV besties Timily (Tim & Emily) from Ownlessdomore who have crossed our paths several times in the past couple years of RVing helped us. 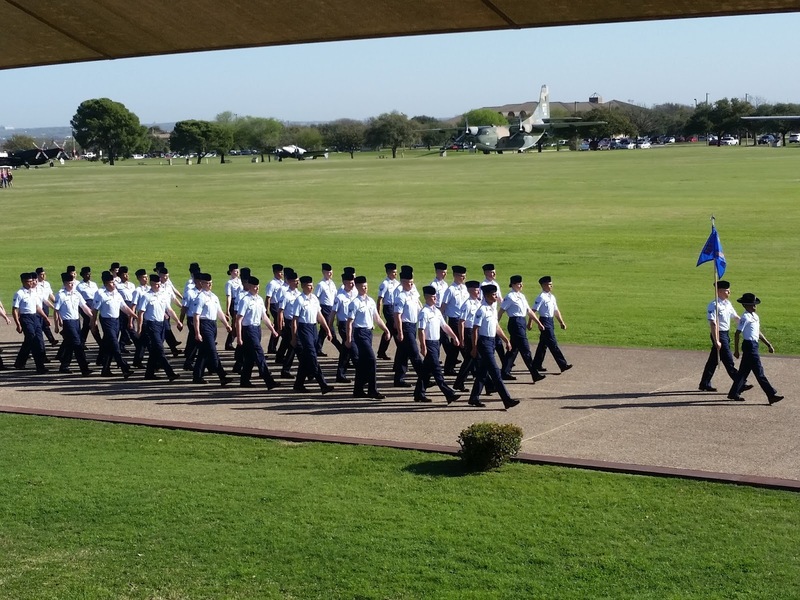 They were already in San Antonio, Texas at Lackland AFB FamCamp for their own medical appointments. 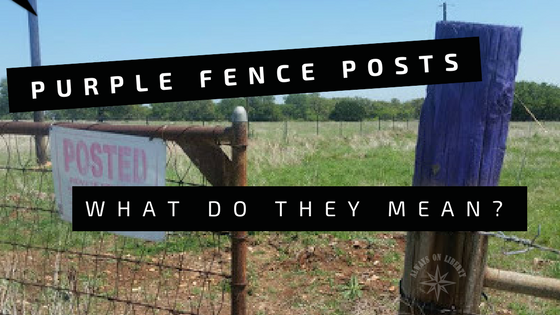 We connected with them instantly and in turn, they spoke to the staff to see if we could get a site in two days. Unfortunately, this Lackland’s FamCamp didn’t take reservations, so there was no way to know if we’d get in or not. 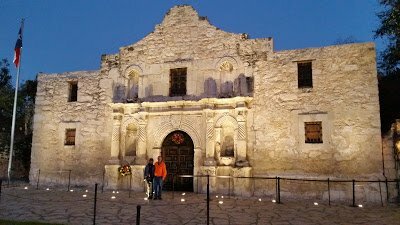 So as we continued to make our way closer to San Antonio, Emily gave us an hour-by-hour assessment of what sites were coming open. The day we were to arrive, she kept an eye on any site opening up. Needless to say, her vigilance paid off. 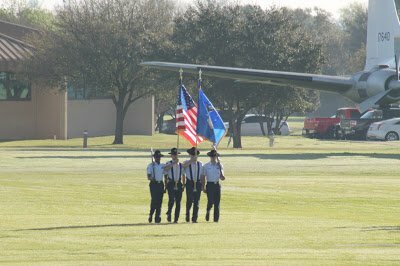 When we arrived at the commercial gate to the Air Force base, Tim even met us and escorted our tired and weary souls right to our site. 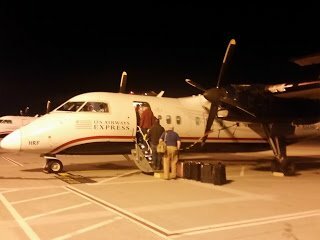 We immediately parked, set up our RV and shortly after made our flight reservations. Before we could even ask, Tim and Emily were right there waiting for directions on how to care for Krissie and Kandi. They even took us to the airport the next morning and picked us up when we returned. Our kitties fell in love with Emily even though she’s not a ‘cat person’ but it seemed they grew on Emily…even though she’s allergic to cats. …we have to because who else are ya gonna call? Don’t think that we hand the keys over to just anyone. Similarly, when we lived in our S&B (sticks and bricks), we have a mental checklist of how we pick our pet sitters and caretakers. To us, its extremely important that they not only ‘like’ cats but they must love ‘our’ cats because they are our furkids. We’d want them to treat our girls just the same as we do. Finally and worth noting, an RV is not like a S&B in respect to the mechanics and engineering. Who knows better than our fellow RVers who know the electrical, HVAC, water and sewer systems. 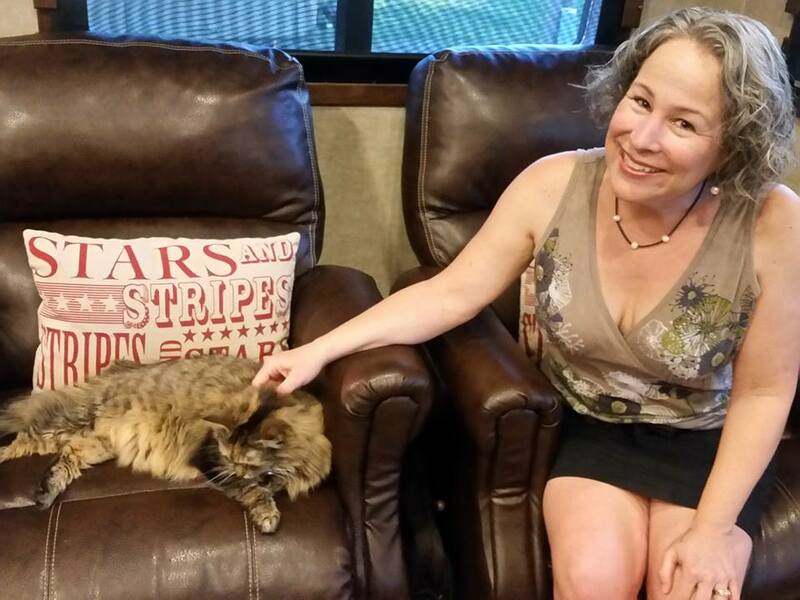 While there may be professional pet sitters wherever we park, if something goes awry with our RV, they won’t know what to do. 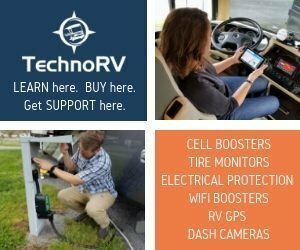 So, if you’re an RVer who needs to leave your RV and/or pets to tend to family events or even a vacation or cruise, look no further than your RV’s door. We’re not saying just throw caution to the wind. Trust your gut and seek someone who will keep your home on wheels and all that’s in it safe and sound. 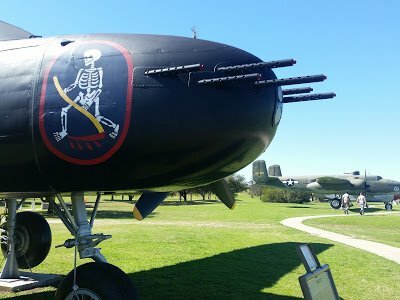 This piece is about magnificient war-fighting planes aka…WAR BIRDS…and the men and women who put themselves in the pilot’s seats and crews to unleash their wrath on our Nation’s enemies from past wars and conflicts. 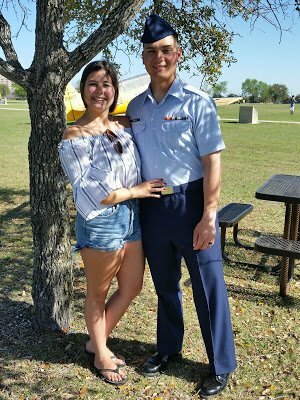 When we were parked at Lackland Air Force Base in San Antonio, Texas this past February, we caught up with our RV besties, Tim and Emily from OwnLessDoMore for a couple weeks. 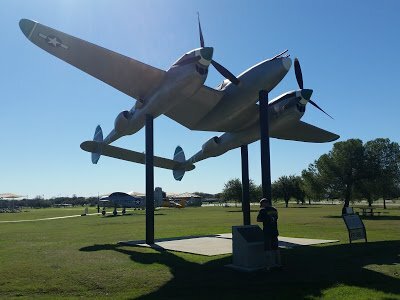 While there, Emily and I took a power walk over to the War Birds Park so she could show me some ‘awesome airplanes’. She appreciated how much we enjoyed military history so she thought this was just perfect for us to experience. After they “Timily” (Tim & Emily) set out on the road again, we frequented the park on our walks to score some photos. 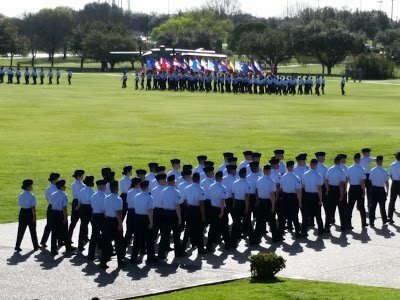 The park’s concrete walkway circled around the ceremonial parade field. 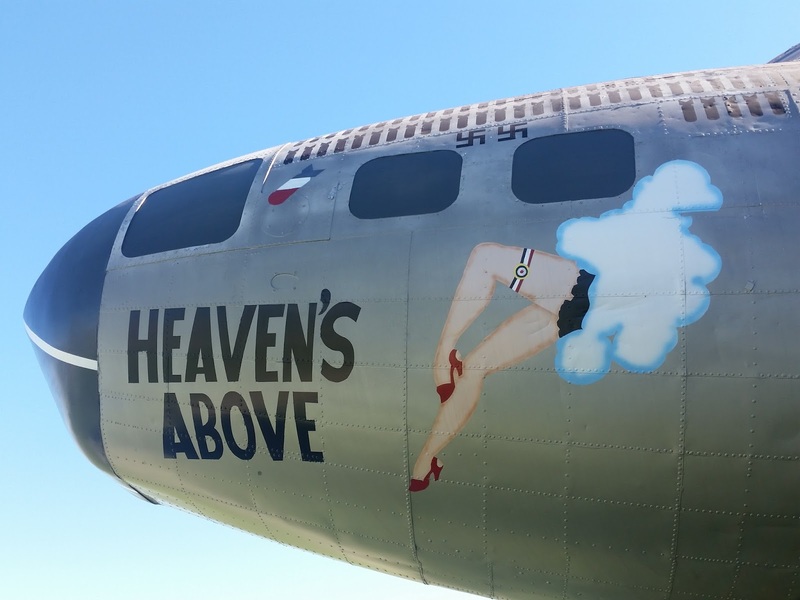 On the outer parameter of the parade field is an amazing collection of ‘War Birds’ of past wars and conflicts. 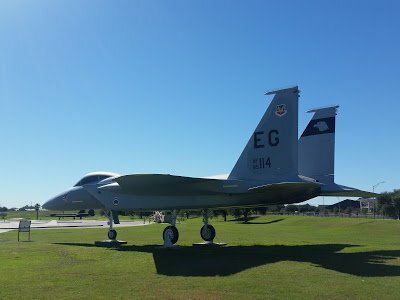 Nicely manicured landscaping allows visitors an up-close-and-personal look at these incredible aircraft that credits our Air Force’s fighting success. You can touch the planes and feel their once, vibrant spirit. Nice to look at, cool to touch but please don’t climb. Assembled between various War Birds were ‘…an enlisted story’ plaquards of notable Enlisted Airmen of the Air Force. 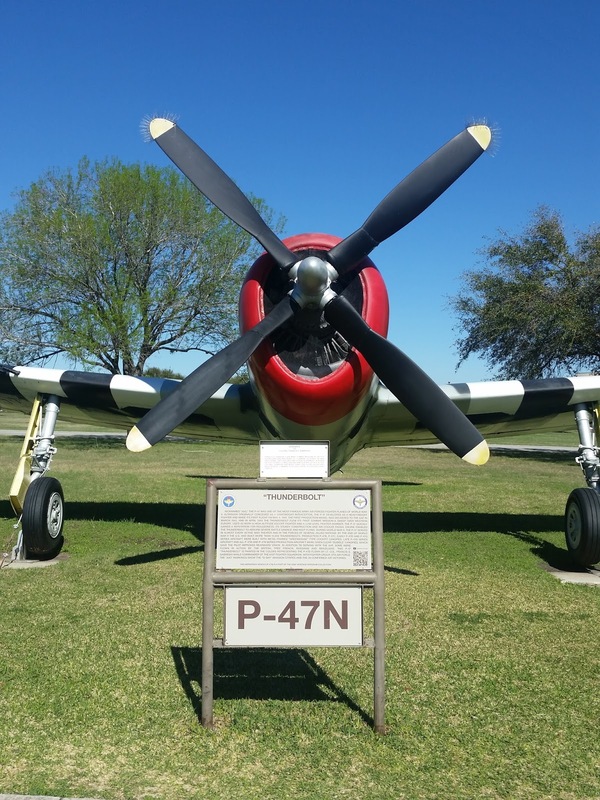 Since Lackland AFB is home to the Air Force’s Basic Military Training facility, it’s fitting to have these as inspiration and historical notables of the service’s enlisted heroes to teach our newest generations. 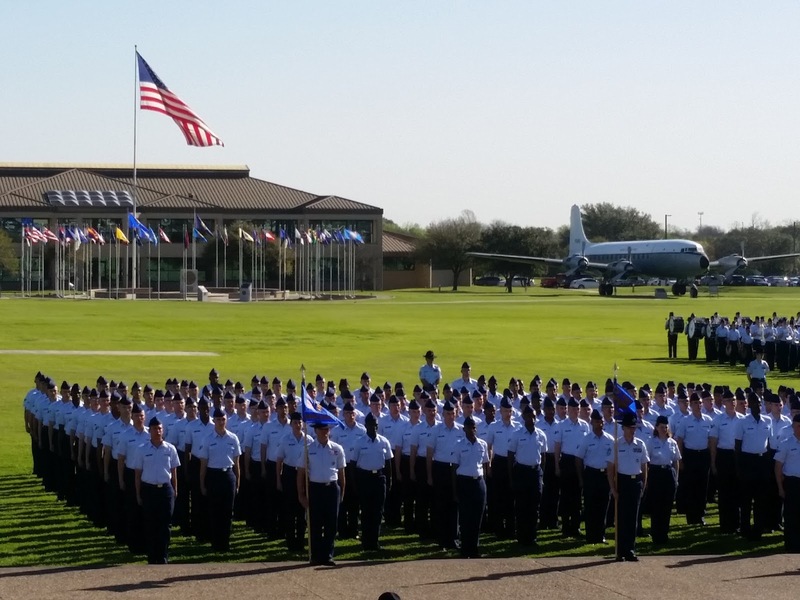 We were privileged to attend an Air Force BMT Graduation and wrote a previous blog about our experience; Off We Go into the Wild Blue Wonder. 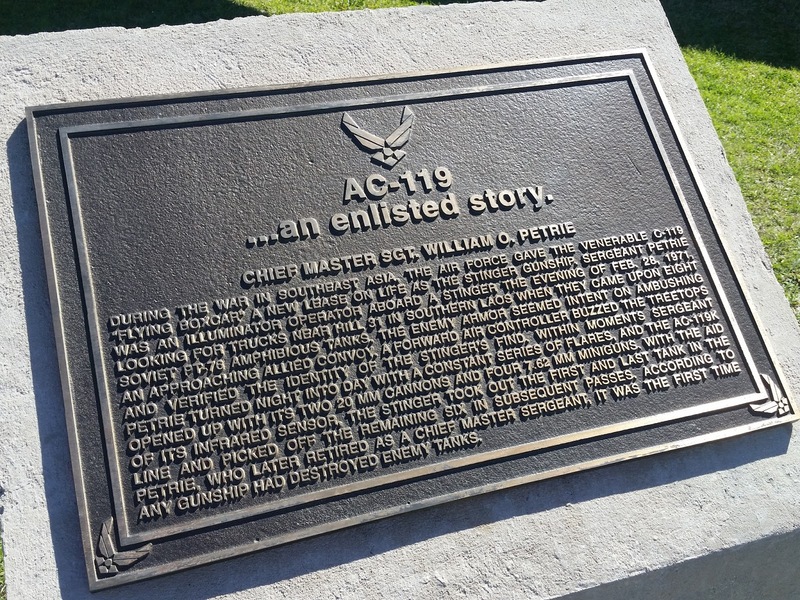 This is just one of the many ‘an enlisted story’ plaques. One of my favorites was the SR-71 Blackbird! Like all of the aircraft exhibits, it was cool that we could actually touch and look completely around the Blackbird’s fuselage. This is one of those, ‘you gotta see it to believe it’. The SR-71 first flew in December 1964; we were only about two years old back then. It was retired by NASA in 1999. 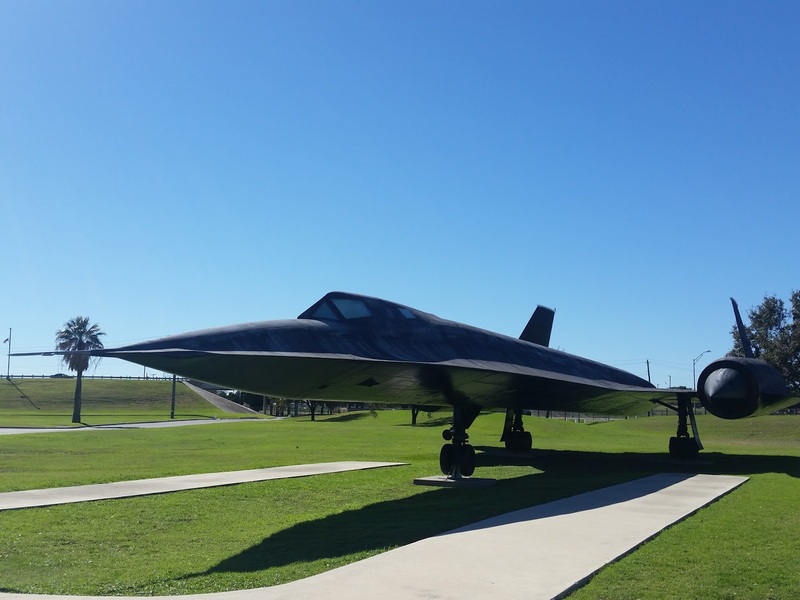 For over 30 years, this spy plane flew over Mach 3 speeds and was the fastest plane which could outfly any missle. 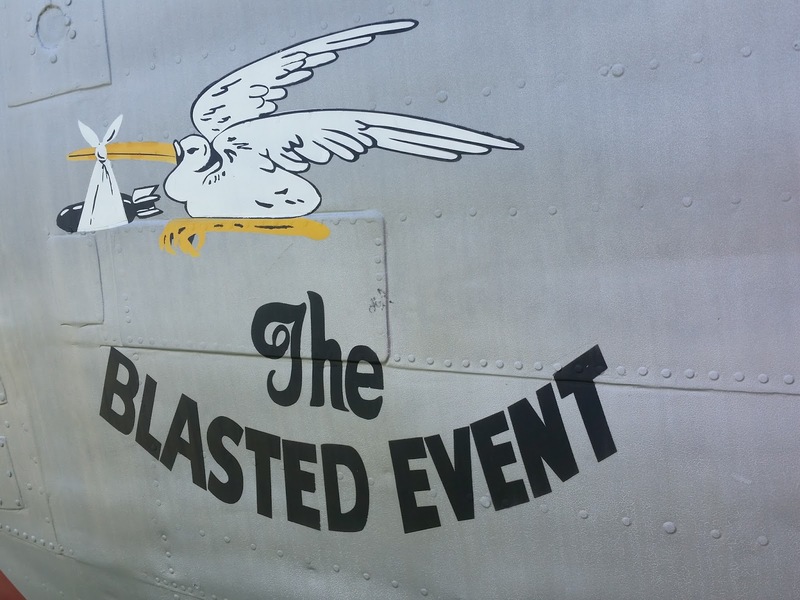 This bird ranged 3682 miles without fueling. To put that into perspective, its 2572 miles from New York City to San Francisco. 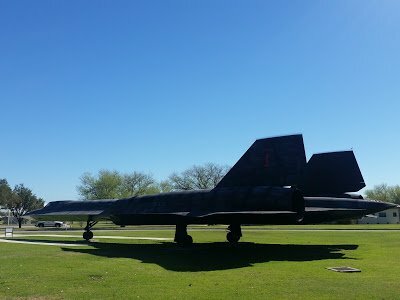 Click the link for more information on the Blackbird. 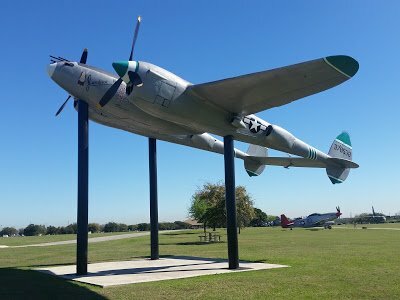 2 Pratt & Whittney J-58 (JT11D-20A) with 34,000 lbs. of thrust. Let’s not forget highlighting the nostalgic ‘Nose Art’. 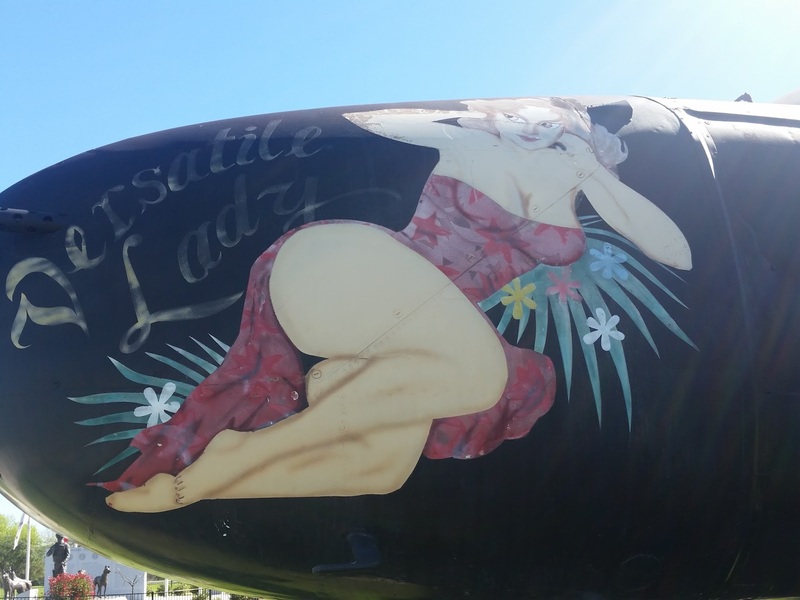 Military Aircraft Nose Art began for practical reasons of identifying friendly units. What started as simple creativity evolved to express the individuality often constrained by the uniformity of the military, to evoke memories of home and peacetime life, and as a kind of psychological protection against the stresses of war and the probability of death. It was a morale keeper for the Troops. At the opposite end of the parade field and on the War Bird Park is a newer memorial (2009) dedicated to our Nation’s Military Working K-9’s. 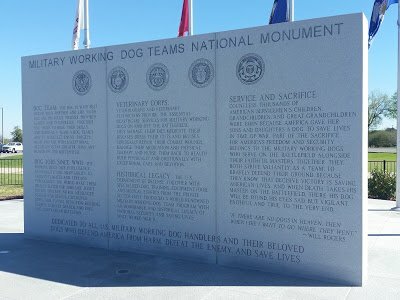 While we have visited many military memorials nationwide, including several in Washington D.C., this one truly moved us emotionally. 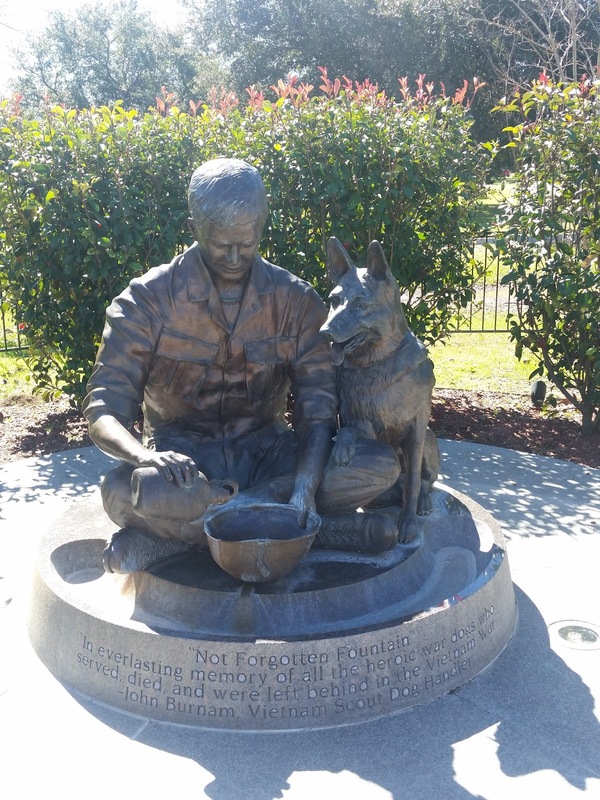 Perhaps it’s our love for animals but mostly it’s because of our appreciation of these ‘war dogs’ that were stationed with our son’s Cavalry units in Iraq and Afghanistan. 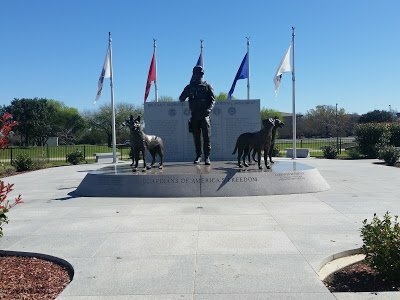 Since we connected on a personal level, seeing this memorial put lumps in our throat, tears in our eyes and exceptional love in our hearts for our military working dogs. These are just a few of the many photos I took when there were very few visitors. The collection is much more extensive with other War Birds that you’ll just have to come see for yourself. 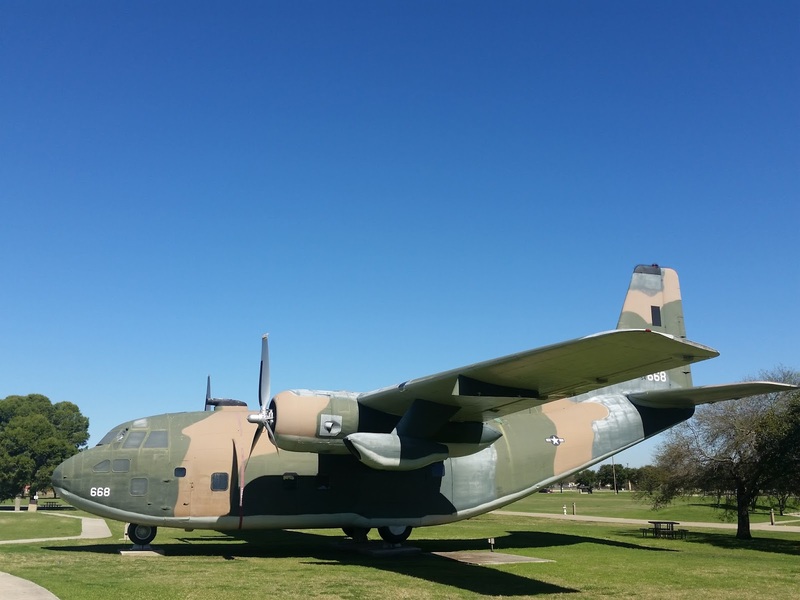 If you’re a military historian or military history enthusiast, we highly recommend visiting this fabulous display of military aircraft. 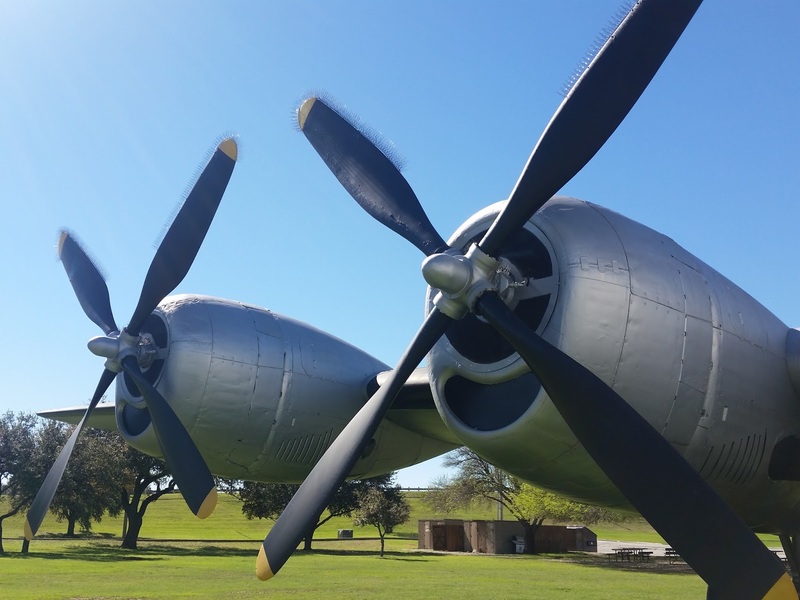 What an amazing place to not only take in the history of our Air Force but also to enjoy a good walking workout. 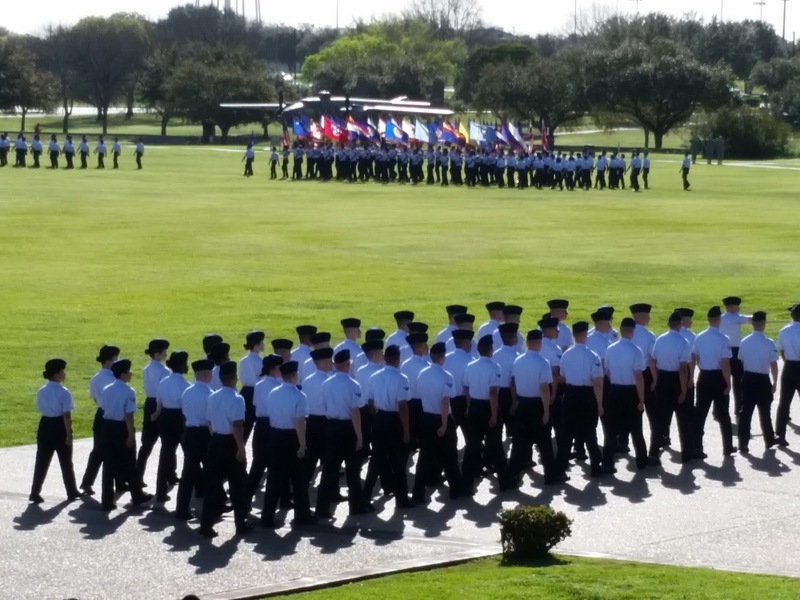 If you can, include a Friday so you can witness another 700+ men and women marching into their new rolls as United States Air Force Airmen. You can read about our experience ‘Off We Went into the Wild Blue Wonder’. 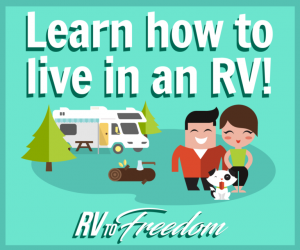 Why RV Ownership is Better than Home Ownership! We recently wrote a blog piece 10 Things we should have known before going full-time. It was our list of challenges we have faced since full-time RVing. We hope that didn’t scare those of you who are contemplating this lifestyle. 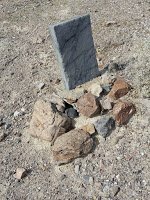 Though being brutally honest, we hope it saves future RVer’s sanity or helps to better prepare them, then that piece was worth sharing. We certainly don’t want to be a downer. Ya just gotta see the grit and dirt. We get asked a lot about full-timing and the romance of it but sometimes that may obscure the real deal. So, take that for what it was intended. Nothing is all puffy clouds and rainbows; RVing included. We’ve come up with our own list of Why RVership is Better than Homeownership. This is a fun list we put together for your enjoyment and perhaps may be that nudge you need to push yourselves over the edge into selling it all to go on the road. 1) LAWNSCAPING – We hope we never have to pull the cord to a lawn mower ever again…or firing up a chain saw or weed wacker. Our dreams of never having to pick up a shovel to dig holes to plant things or worry about our hard-worked gardens and lawns drying up in the heat of the summer have come true. Admittedly though, it is fun to sit in our chairs outside with our cold beverages while watching others do it. That said, we aren’t total jerks; we always offer a cold bottle of water or ice tea to them as they painstakingly do their chores. Sorry…not sorry! 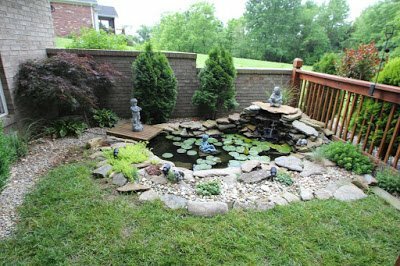 Our water garden (we built) at our former sticks & bricks home. Though it was beautiful and serene, it required maintenance. Now we enjoy gardens without ever having to pull a weed or water. 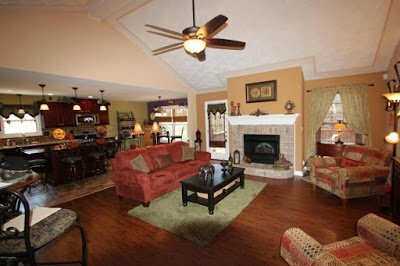 2) ALL DAY HOUSECLEANING – Never do we miss a day of taking three days to thoroughly clean our former 3600 square foot home. NOPE! No more lugging that big monster Kenmore vacuum up and down the stairs, dusting four bedrooms, laundering curtains and washing window, organizing the never-ending craft room mess, scrubbing floors, and constantly wiping knicknacks and wall art. It always seemed to be endless chore after chore. Now, we can have the bed made, dishes done, bathroom cleaned, deck swabbed, pillows fluffed, lateral surfaces dusted, etc. all in the course of…*drum roll*…ONE HOUR. Can you imagine? Our 380ish square foot 5th wheel doesn’t need massive cleanings anyways because we always keep it clean and picked up. We have to or we’ll trip over it. 3) COLLECTING STUFF/CLUTTER – We simply can’t be collectors of stuff anymore. We don’t have the room and we have to be mindful of our weight. Every few months, we purge. If its not been used since the last purging, out it goes. We buy ‘disposable’ holiday decorations. 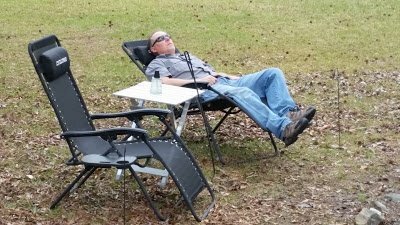 When the holiday is over, ‘out, out damn spot!’ If its good useable stuff, we usually put things in the RV park or campground laundry rooms. Two or three hours later, we’ll notice its gone which means others enjoy our givings. If they are big things or clothes, we’ll donate or pass them on. Our choice donation centers are on military posts/bases where young military families can get our contributions for nearly nothing. 4) HOUSEFUL OF FURNITURE – When buying an RV, it comes completely outfitted with furniture and even decor. Sure, we’ve picked up a couple pieces of small basket holders and purchased a better mattress but that’s it. We have a couple photo frames and two small table lamps. We may pick up a piece or two of wall art but when we put up the new, out goes the old. We usually buy less expensive decor so we don’t feel bad about getting rid of it when its time. We still can’t believe ‘all’ the furniture we had in that huge house! 5) PAYING REAL ESTATE TAX – While some may this might seem selfish, it’s not. We paid dearly for years while we owned three homes at different duty station locations. Don’t think we get off scott free; we still pay federal tax on Dan’s military pension and our contract work, sales tax on purchases, taxes on fuel and road tolls, and truck/RV/motorcycle registrations but we don’t miss having to set aside upwards to hundreds a month for real estate taxes…a savings of about $4000/year (seriously!). 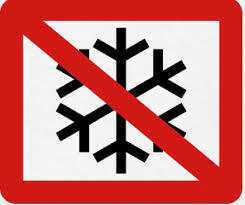 6) SHOVELING SNOW – NOPE!! We prefer consistent 70’s and 80’s but unless we’re in Cabo San Luca, that’s not going to happen. We have been bit by cold snaps a few times so we’ve quickly looked at our map’s latitude lines and told each other, ‘let’s head for better weather!’ Once in awhile we have to run our furnace…and we hate it! 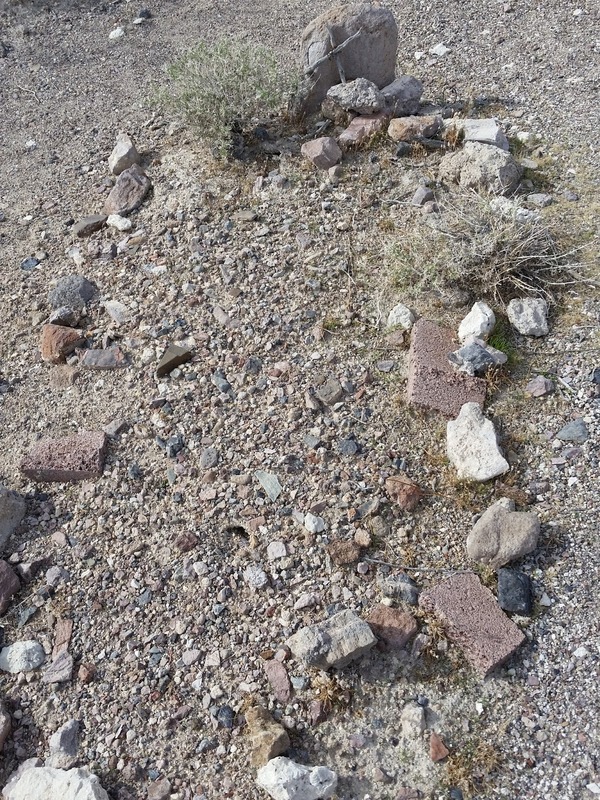 7) OBNOXIOUS CABLE BILLS – Some RVers have Direct TV or Dish Network. We prefer not to. For fun watching, we subscribe to Netflix or Hulu for occasional movies and we have a case full of DVD movies or we swap-borrow. If an RV park or resort has cable tv in their hookups that’s part of their rate, fine but we won’t pay extra just to have it. Its not important to us. In fact, all of January and most of February, we’ve not even turned the television on. We went hiking, walking, sightseeing, played cards, visited friends, and just enjoyed the other things. You can’t believe how liberating it was not having to watch the elections leading up to the Presidential Inauguration. 8) WASTING FOOD – Rarely do we throw food away because simply, we don’t have the room for two loaves of bread and bagels, numerous boxes of crackers, etc. We don’t do a monthly grocery shopping anymore or bulk shopping at Costco or Sam’s. We plan out our meals each week and shop for those provisions accordingly. We don’t cook for an Army (er…Coast Guard) anymore; its just us and perhaps a couple more servings for leftovers for lunch the next day unless we’re entertaining. 9) JUNK MAIL – We don’t get bills in the mail because we ‘went paperless’. Not only are we conservation-minded, we have more time to do the things instead of opening mail, putting it in a pile, sorting and shredding it. To read about how we handle our physical mail, read our blog piece You’ve Got Mail. 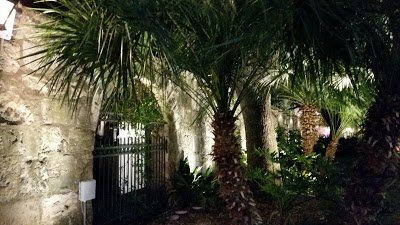 10) SAME BACKYARD – Seriously, with our nomadic life, our aft picture window views change frequently. Sometimes we have the beach or mountains, and other times we have the forest or desert. Our neighbors change also; if it’s not us that’s relocating, its them. 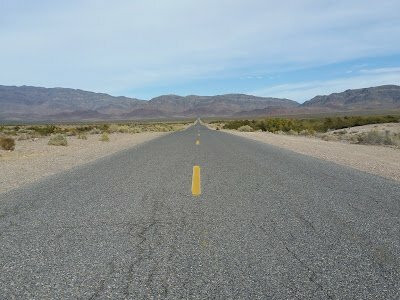 If we end up with boring scenery, we hitch up Liberty and find something better to look at or interesting places to go. 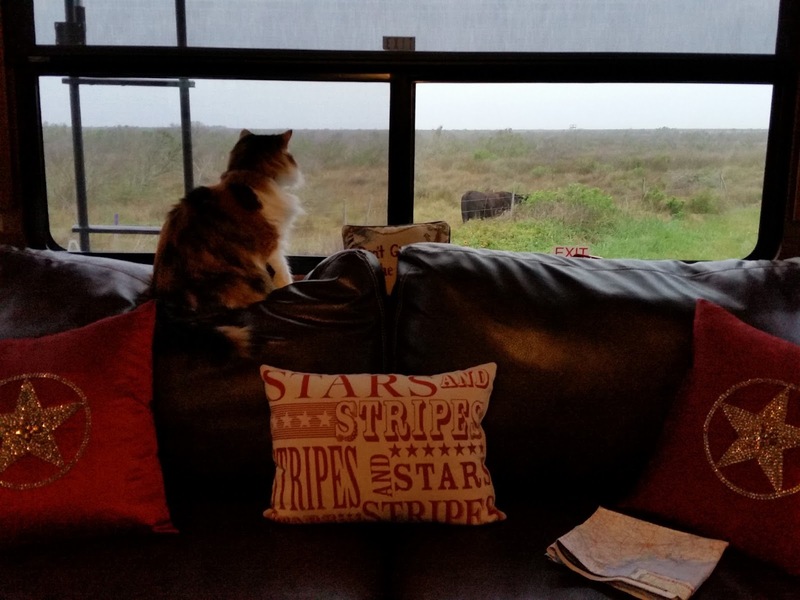 Even Krissie and Kandi, our nomad cats, enjoy seeing different views. As you have just read, while it may sound like we’ve gotten lazy, we have not. We fill our time with exciting activities like hiking, ADV motorcycle riding, visiting friends and family, playing tourist, blogging, writing, jewelry making, etc. We even volunteer sometimes! We keep busy. Our days still start early (just kidding!) and our nights…well, we don’t have set bedtimes anymore either. What’s funny though…it may seem like we have all the time in the world, we manage to live one moment at a time. We now have time to really ‘stop and smell the roses’. 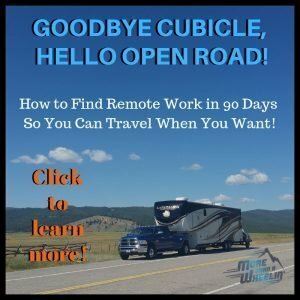 We’ve learned how to LIVE and enjoy it living in an RV instead of a big McMansion. Last summer (2016), we sat with our big U.S. atlas book and perused pages of the southwestern states and researched the web figuring out where we were going for the winter months. 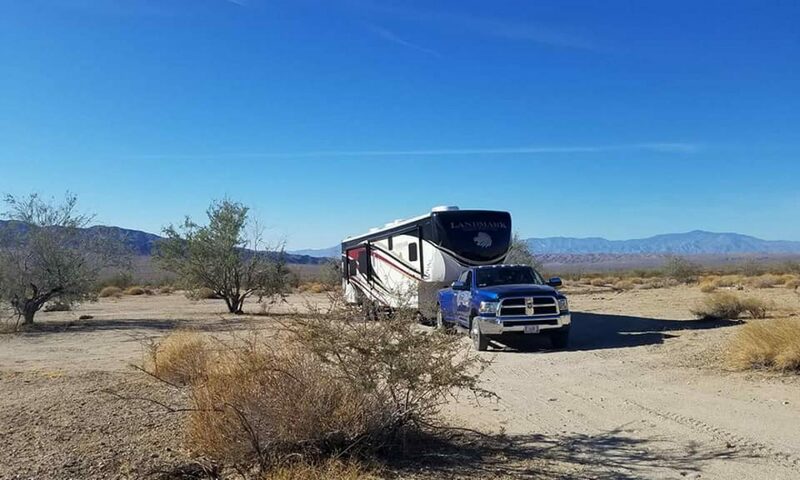 On a Facebook RV group page we frequent, a poster mentioned a cool RV Resort in Nevada, not far from Las Vegas, that looked like a good place to anchor down for a couple months. 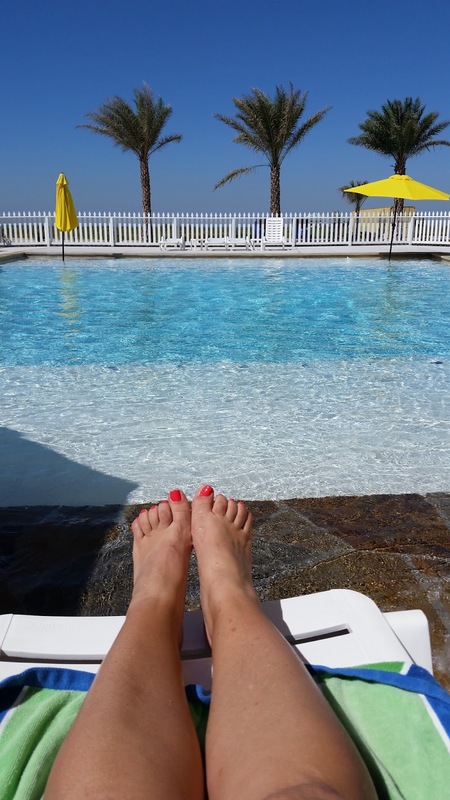 We called Wine Ridge RV Resort and was greeted by professional and friendly staff who helped us pick a site that was big enough for Liberty and made a reservation for November and December. Once we got there, it was perfect for us!! Our aft picture window where our Nomad Cats nap and watch for wildlife backed up to a beautiful view of the mountains. The site was a spacious pull-through that was long enough for our almost 42′ 5th wheel, Idaho Tote with XT225’s and Captain America. After we set up, we took a walk around the resort to see what it had to offer; which it did…LOTS! We will save that for our RV Park Review blog later, so please stay tuned. 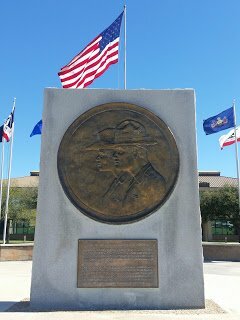 The next day, we jumped in Captain America to check out what the city of Pahrump had to offer…Home Depot, two grocery stores, a few diners, a few fast food places, a few other RV resorts and parks, a couple casinos, several gas stations, etc. 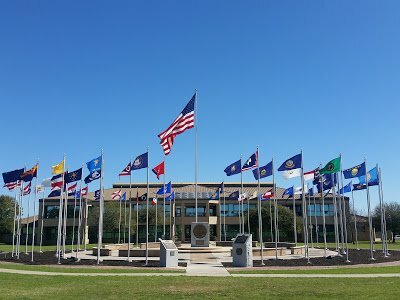 The city even had a VA center. Billboards entering the city from Las Vegas boast the city’s reputation as one of the RV meccas for snowbirds because of its milder and drier weather. 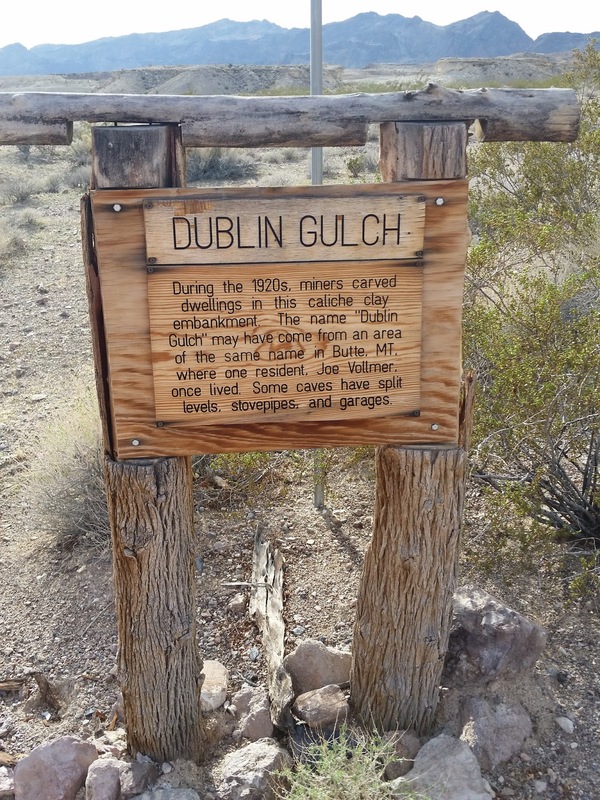 There is plenty to do if you want to venture out or just the perfect, quiet place away from the big city lights of Las Vegas to take in nice afternoon naps in camp chairs. 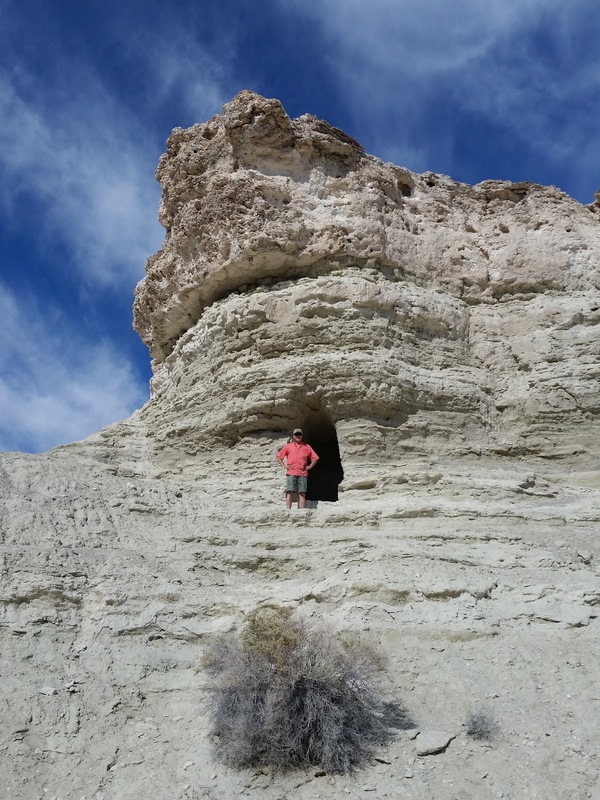 After a few days of situational awareness and geographical research, we checked out a little old mining town, Shoshone which was about 30 miles from Pahrump. As you see, there is absolutely nothing to see on the way to or fro. Nothing. …so, what’s a girl to do? Take a nap, of course! So then I drifted off to catch a few zzzzzz’s. Because well, there was NOTHING to see and there was no signal on our phones for me to surf the internet or check our emails. 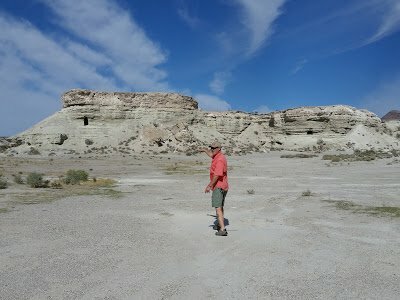 Meanwhile, 20 minutes later, we neared Shoshone, Dan woke me up from my cat nap. 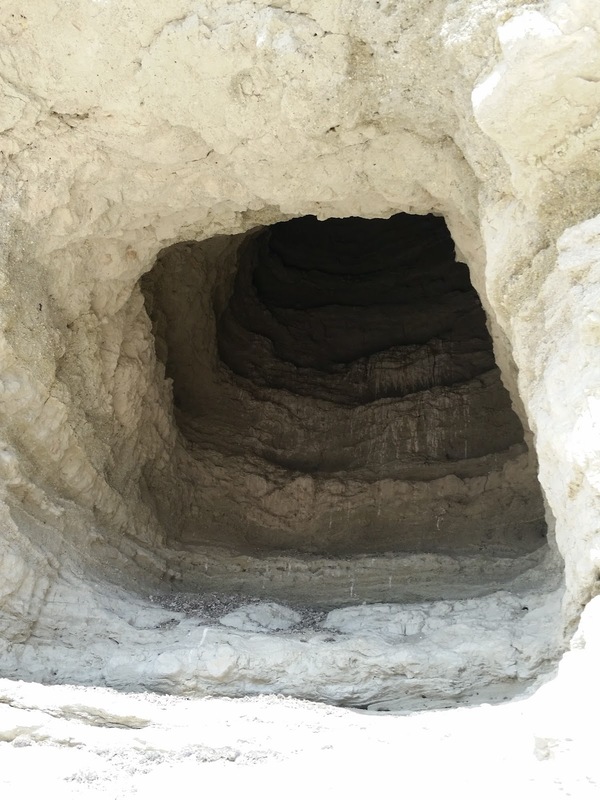 He pointed out right before the town’s main intersection, there was a odd looking, out-of-place, geological wonder on the right side of the road we just had to check out. There was no designated parking area so we just pulled off to the side of the road. 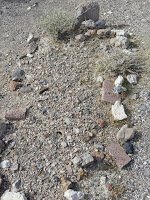 It is registered by the local Historical District however, there was evidence of disrespectful past visitors (broken bottles, leftover fireworks, etc.). 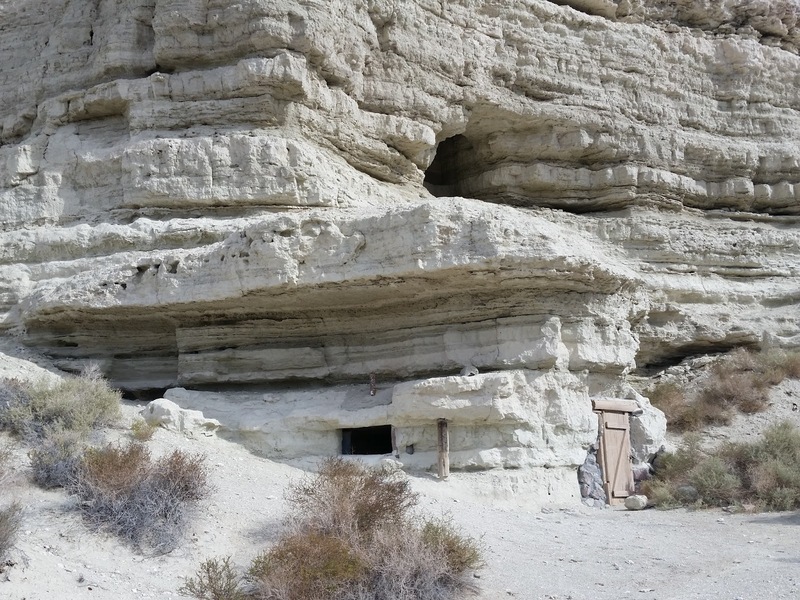 Aside from that, we could literally feel the history with every step; wondering who lived here and why? What drew them to such an unforgiving terrain and arrid temperatures; especially in the summer months? 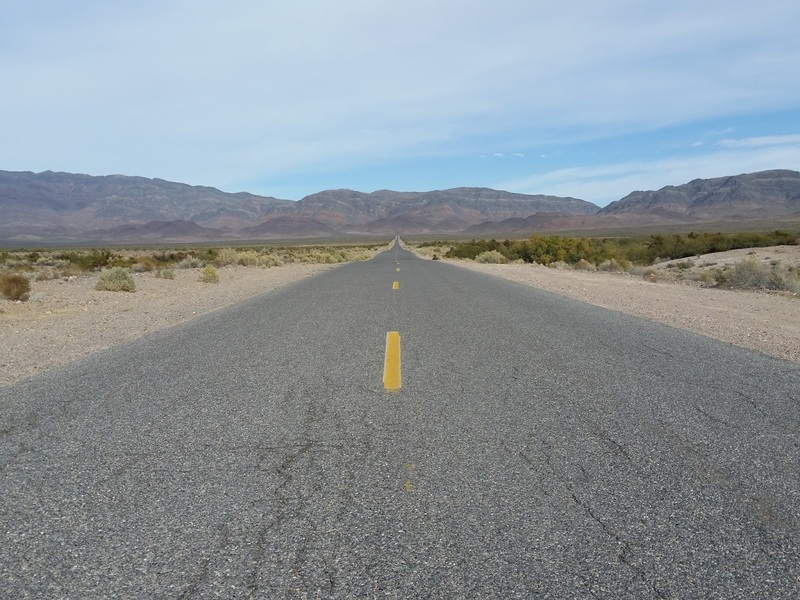 We were only a few miles away from where Death Valley and Mojave Desert bordered. 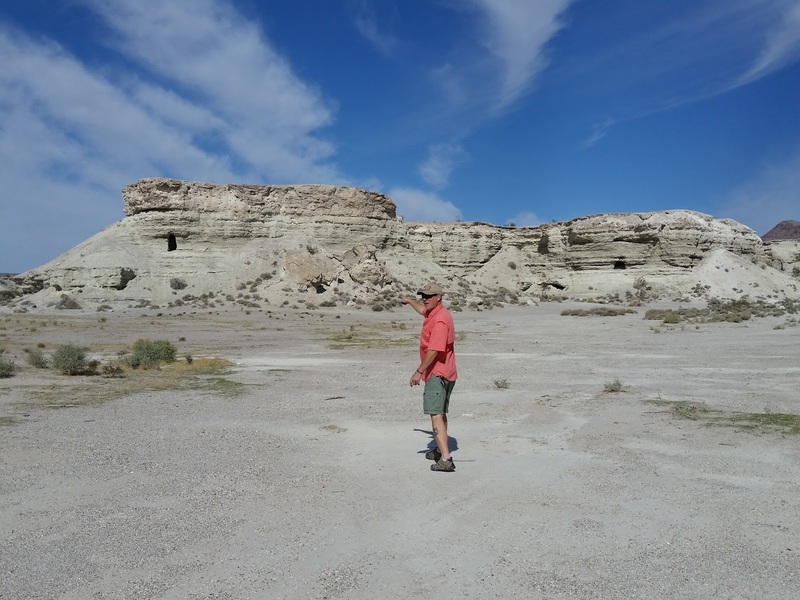 The formations and terrain reminded us much of our very first hiking experience in western Nebraska at Toadstool Geological Park three years ago. Captain Dan hiked several steps ahead of me because I was nursing a back injury and severe sciatica. I told him to go ahead and enjoy his climbs and hikes while I vied to get some good photography shots. 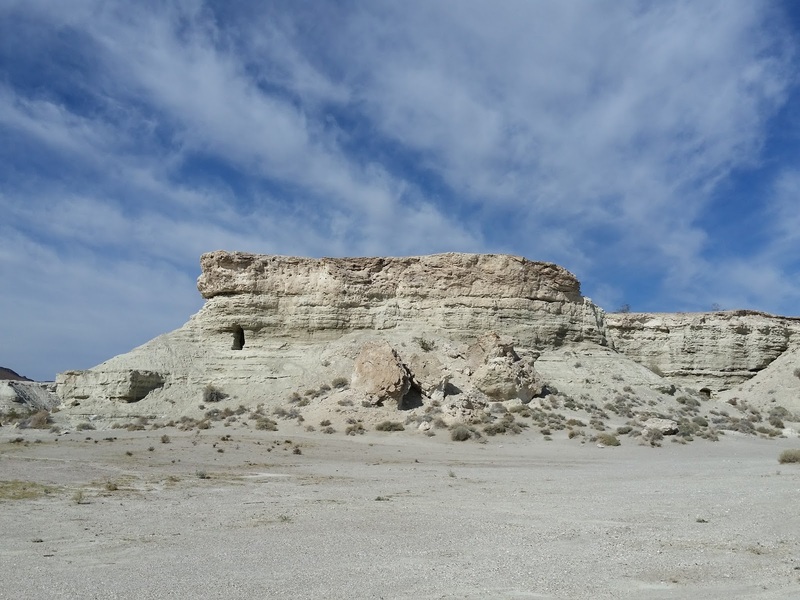 The contrast of the white sandstone structures stood out against the vivid blue sky. It was beautifully perfect. He really enjoyed exploring all the holes and entrances. He left no grain untouched. 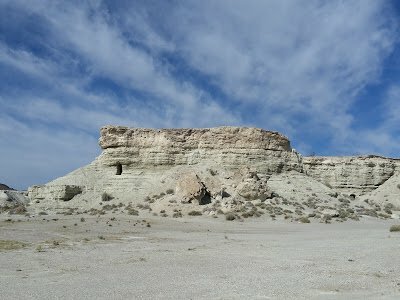 After we finished visiting the geological dugouts, we drove into the town just a mile down the road. 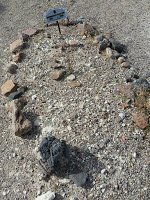 Shoshone is a rural, unicorporated community in Inyo County, California that was founded in 1910. 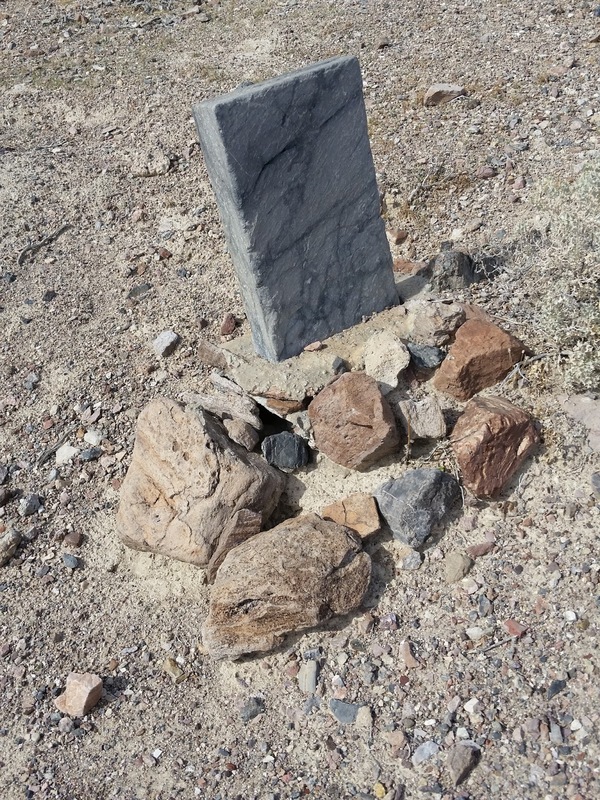 It is at the southern end of State Rt 894, off of US RT 93, just west of the Great Basin National Park. Its been noted as the southern gateway to Death Valley National Park. It’s population was a meer 31 in it’s 2010 census. 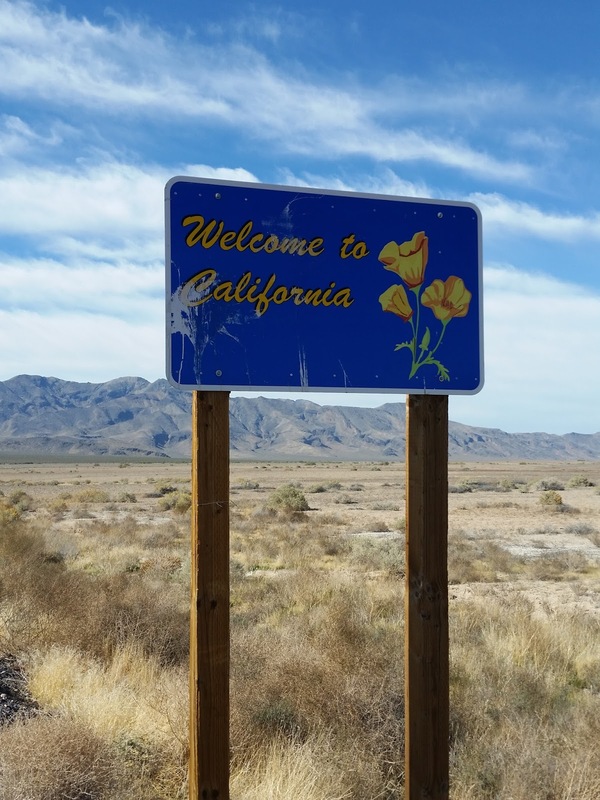 The town’s amenities are just north of the southern intersection of California SR 127 and 178. 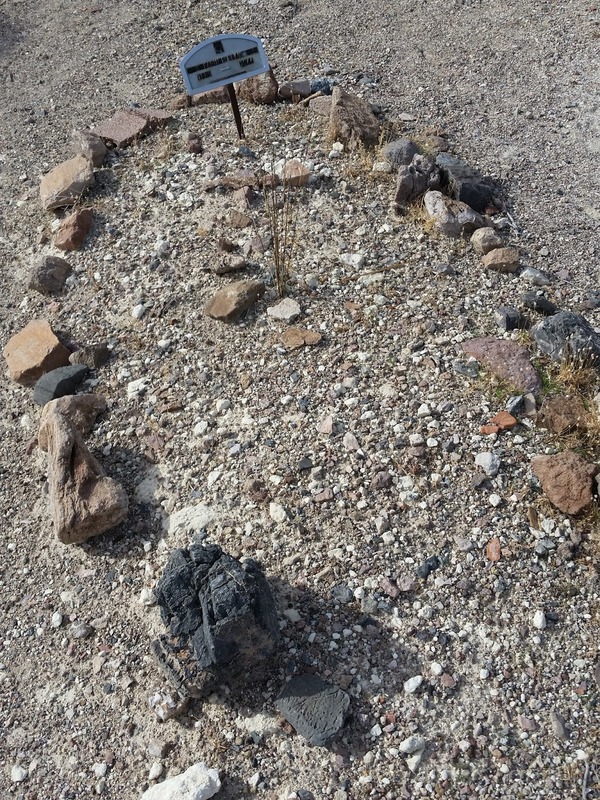 Shoshone was a stop on the Tonopah and Tidewater Railroad which was shut down in 1940. It was such a small town but it had the zest and personality of a small city. 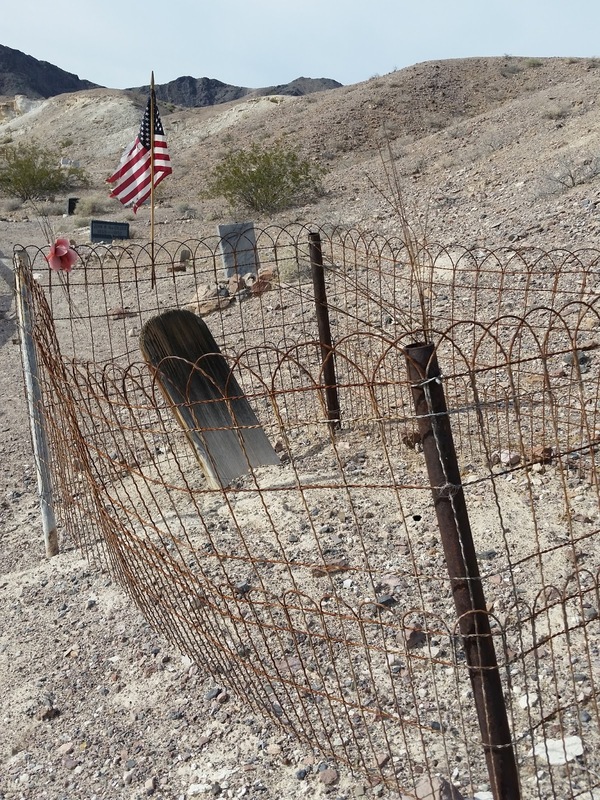 The citizens of Shoshone are proud of their town…all 30some of them. 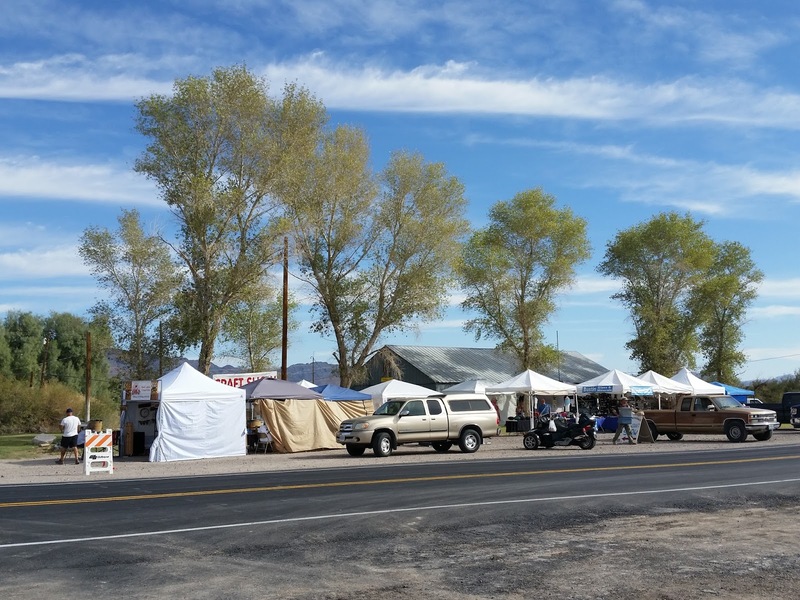 Coincidentally, the day we visited, there was a small craft fair that we walked about and talked with the locals. I bought a pair of earrings made by a Native American as my memorable souvenir. (RV travelers note…our souvenirs must be small…no…make that ‘tiny’). We got to chat a little with a couple of Shoshone’s Bravest. 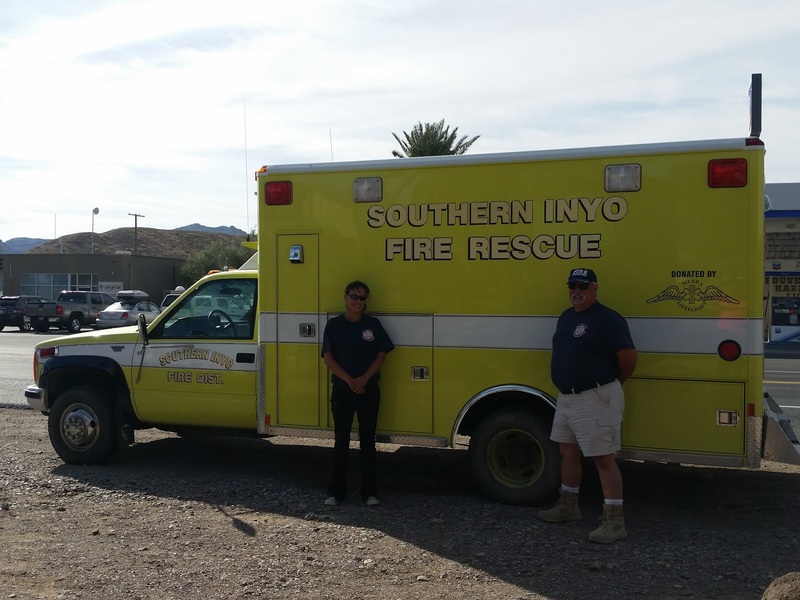 These first responders were eager to show off their new ambulance that their town just procured. 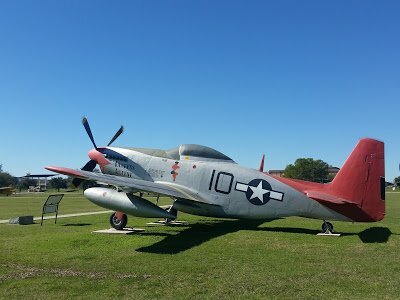 The past years, they solicited for funds to buy it through raffle tickets and other community fundraisers and grants. I can’t imagine having enough taxes and revenue to support public safety so they did what they had to do. They loved it when I asked if I could take their photo by their new apparatus. Afterwards, we meandered down Main Street in the heart of Shoshone Village (oh, trust me, it wasn’t far!) 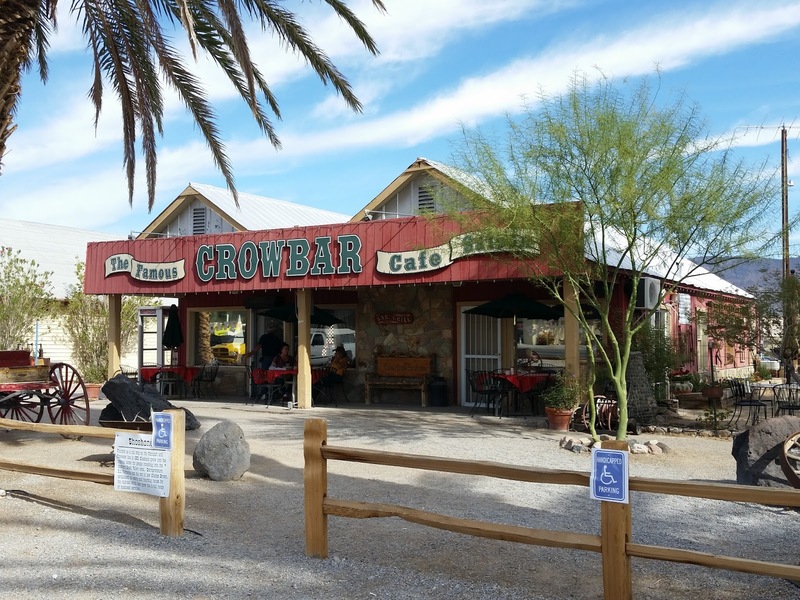 to the only happening place in town; the ‘world famous’ Crowbar Cafe and Saloon. Its a well known stop for bikers and travelers because, well…its the ONLY place there to eat. We didn’t eat there however, we did read and hear from others who have that the food is pretty decent. But it sure did look like quite an inviting place to dine amidst the palm trees. There’s a small dance floor and a outdoor band setup. This little hidden gem was built in the 1930’s and continues to serve homecooked meals in a traditional western atmosphere. We promised ourselves we’d stop in for some grub and grog next time we go to Pahrump. The Charles Brown General Store & Gift Shop (yes, I know…the sign says ‘market’) was only one store there that we patronized by by buying a couple bottles of water, some jerky and browsed the locally made Native American handcrafted souvenirs. 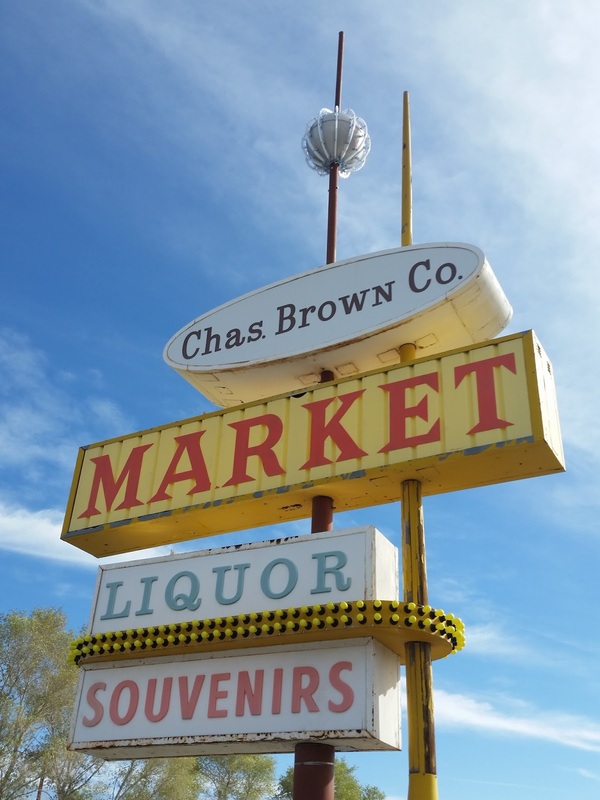 This was a “one stop shop”…gas, propane, groceries, booze, souvenirs, hardware and coffee all under one roof. I guess when they have such a small town with few citizens and visitors, it’s all they need. This place was smaller than Mayberry. Notably though, Shoshone Village has been a stopping point for film crews from Los Angeles who frequent(ed) Death Valley. Oh yes, I forgot to mention that there is an RV park with hookups (meh! ), a campground and the Shoshone Inn (again…meh!). Supposedly there is camping, swimming, hiking, birding and many other activities but I’m thinking they are referring to neighboring Death Valley National Park, Ashland Meadows National Wildlife Refuge and the town of Tecopa just nine miles down the road which is a whole different world in itself (something about it’s hot springs). 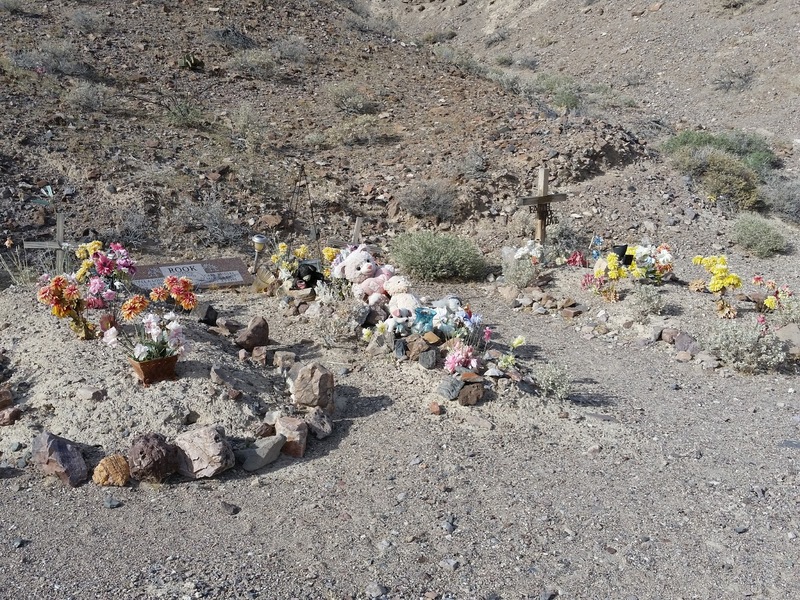 It has its own little Visitor’s Center and Museum (and gift shop) and post office (right next door to the Charles Brown Market) as well as the Death Valley Health Center. 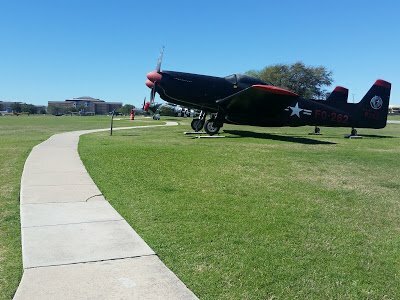 Also worth noting, the town does have its own little Shoshone Airport for small planes and helicoptors just in case you want to zip on in for a visit. It records about 58 flights a month. 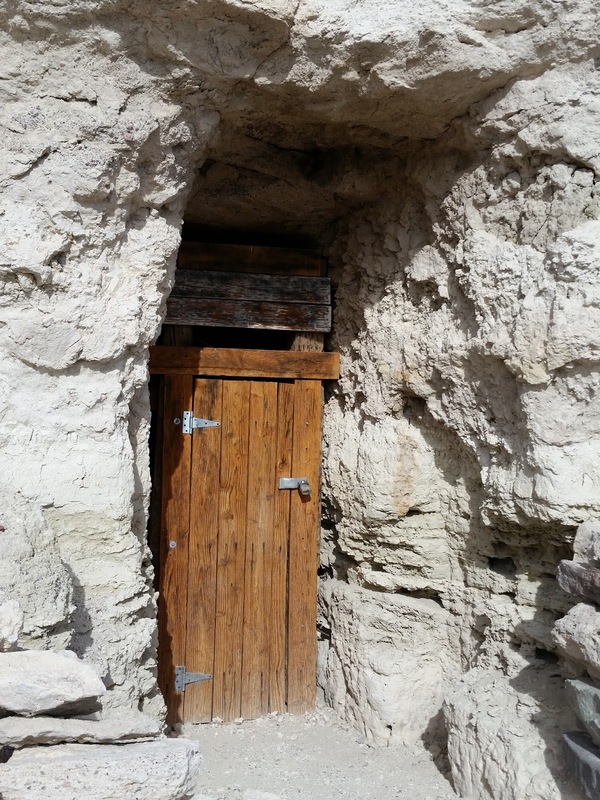 So, let me tell you, Shoshone isn’t just any ordinary tiny town. 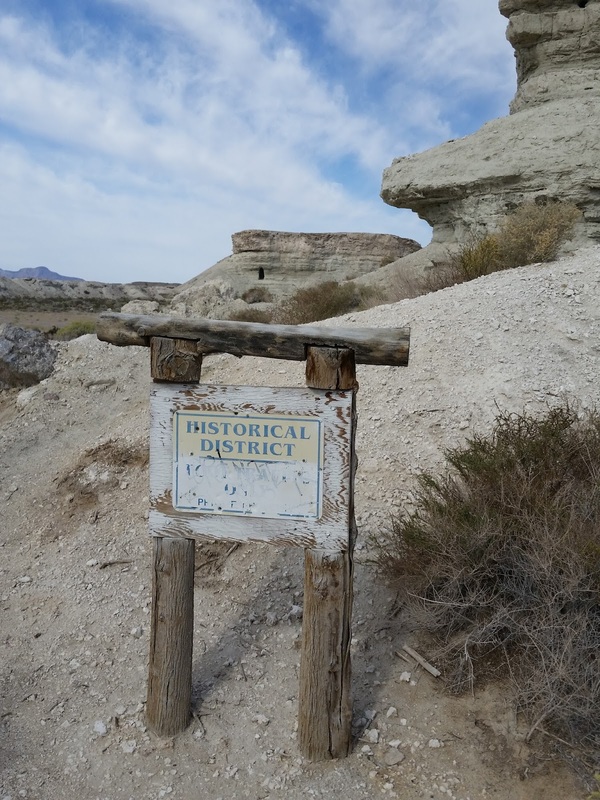 It boasts rich history of mining and the beginnings of the railroad. 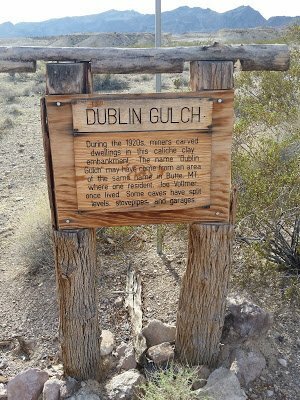 We walked over to Dublin Gulch…which is a ghost town. 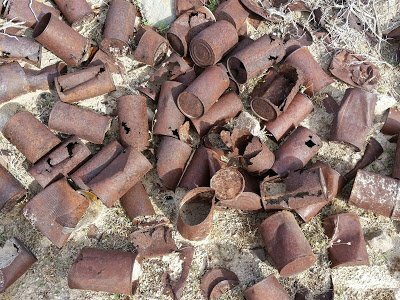 …and left remnents of their cans of beans…lots and lots of these piles of rusty old cans were everywhere (tetnus anyone?). It must of been an interesting place sitting around the campfires eating their beans and talking about their days. Now why all those cans? Well, think about it. Its not like the area is fertile to grow their own food and if there was a growing season, it was very short. Add in the lack of abundance of water…well, they were left with eating out of cans because really, did they even have enough water to do the dishes? TRUE STORY!!! 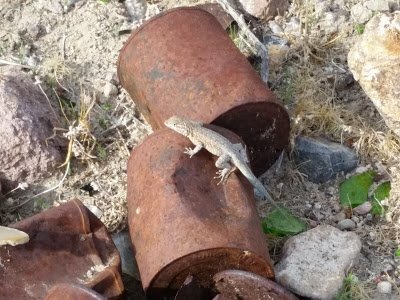 But they do make perfect homes for small desert wildlife, don’t you think? 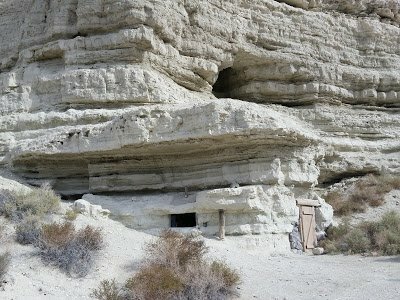 Many have been intrigued as to why we go these little towns like Shoshone Village. We are eager to learn about America and are interested in how people lived, worked and prospered to make our Country what it is today. 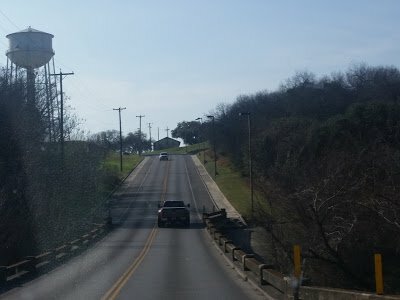 Its these little towns that help fill in and connect the map dots. 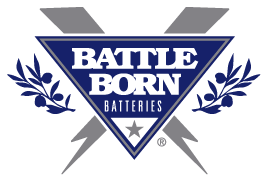 We enjoy sharing what weve learned and experienced with our family, friends and followers. We hope by sharing it will entice and encourage others to leave their own backyards and go on untraditional vacations and journeys. This IS ‘small town’ America. 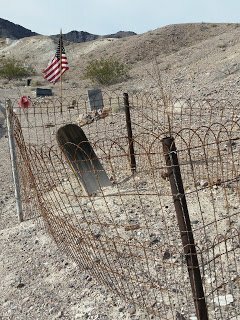 These are the places where our Country’s blood, sweat and tears have fallen that we don’t learn about in history books, read about in newspapers, travel magazines or even the world wide web. These people were/are equally important and deserve to have their stories told. 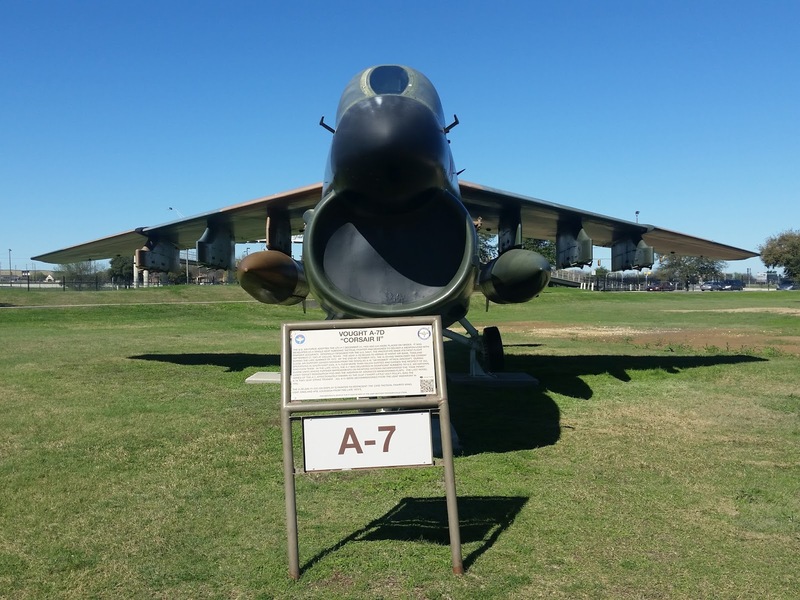 visited and/or stayed at several campgrounds on military facilities aka known as ‘FamCamps’. Our percentage of staying at FamCamps vs. other parks/resorts is about 65%. They are an approach to help reduce the cost of vacations, weekend excursions, PCS moves, TDY and leave travel by offering military families and retirees the use of military facilities. 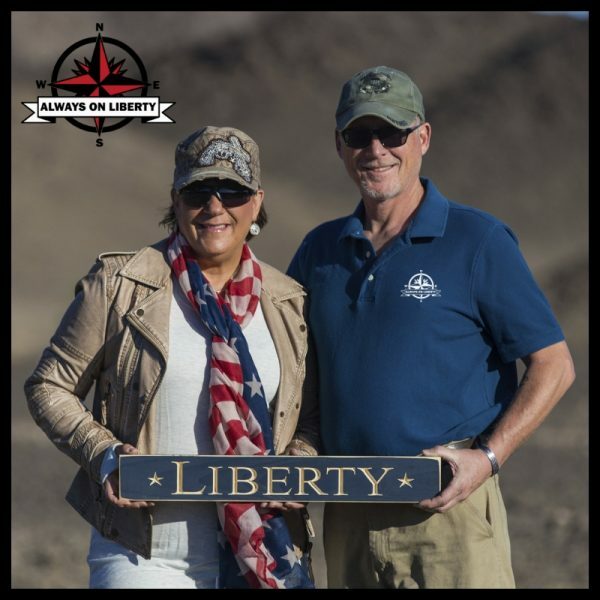 Though ‘FamCamp’ is technically an Air Force term, we (Liberty Crew) apply it to all military campgrounds. 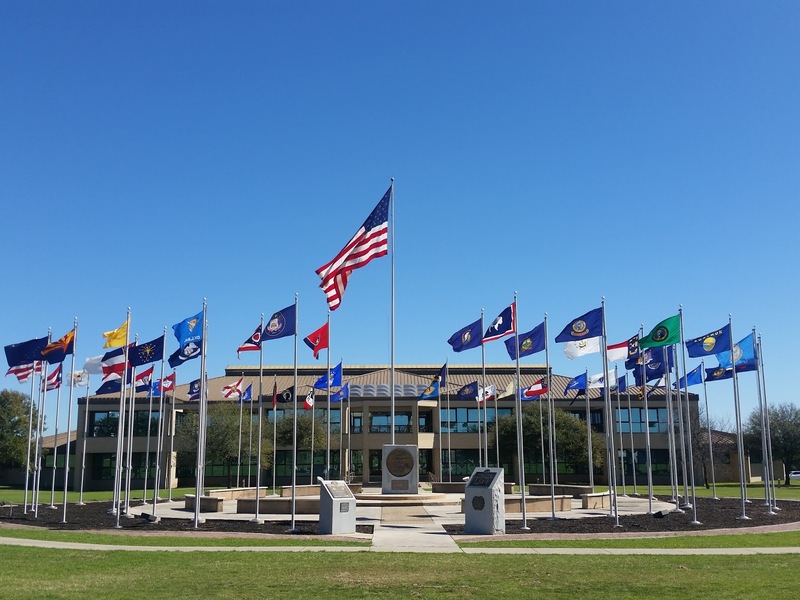 We are extremely grateful that we have this privilege as it allows us a base security, enables continued military comraderie, usage of other facilities (ie. commissary, PX/BX, medical facilities, etc.). Park and Parade Grounds which in itself, has an amazing display of Air Force “War Bird” aircraft that helped our Country defense (future blog post…stay tuned!). 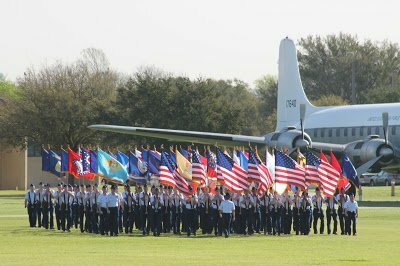 service to our great Country. 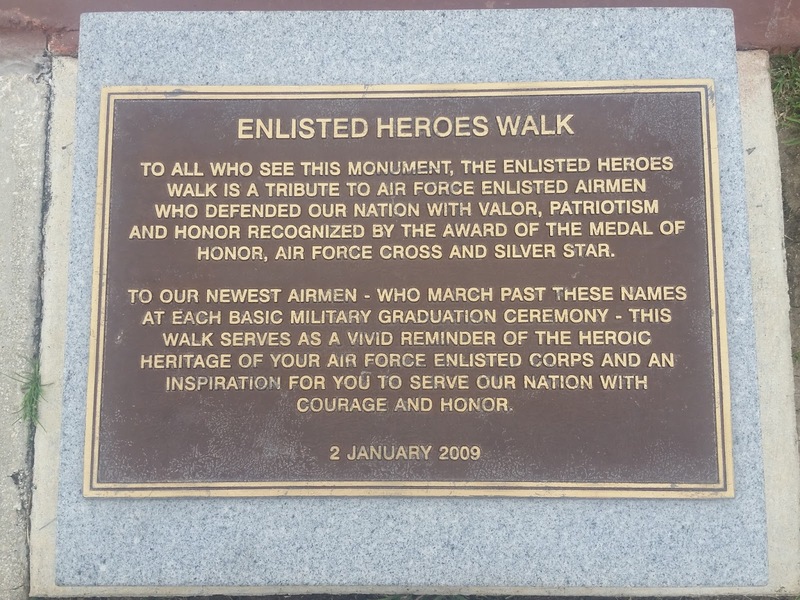 Afterall, if it weren’t for them, our Country wouldn’t be. as much respect to them as we do to our military men and women because, through our own experiences, their dedication, devotion to duty and success is much owed by the support from back home. 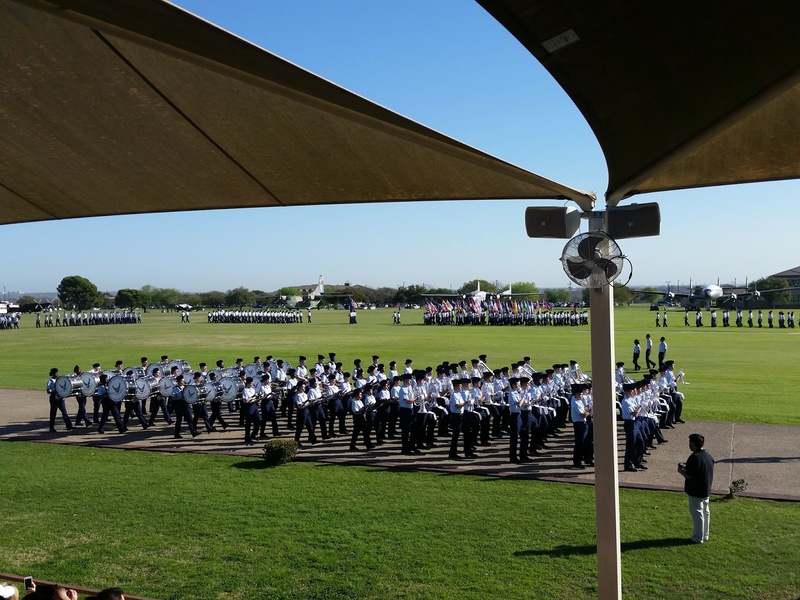 child to enlist…WOW! 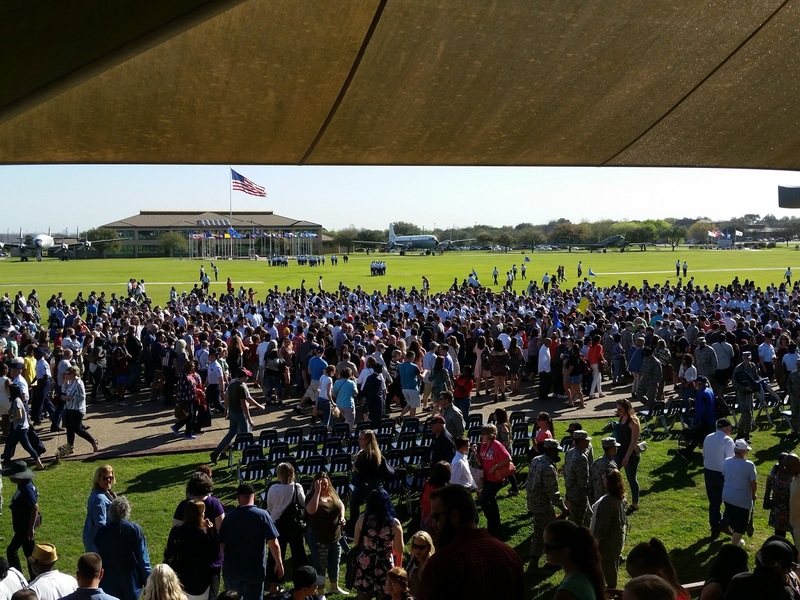 FOUR children who are serving our Country at the same time in the same service! photos. 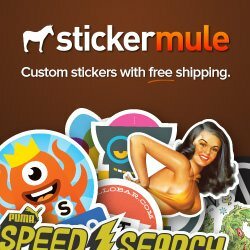 Theyve given me permission to share some of them. 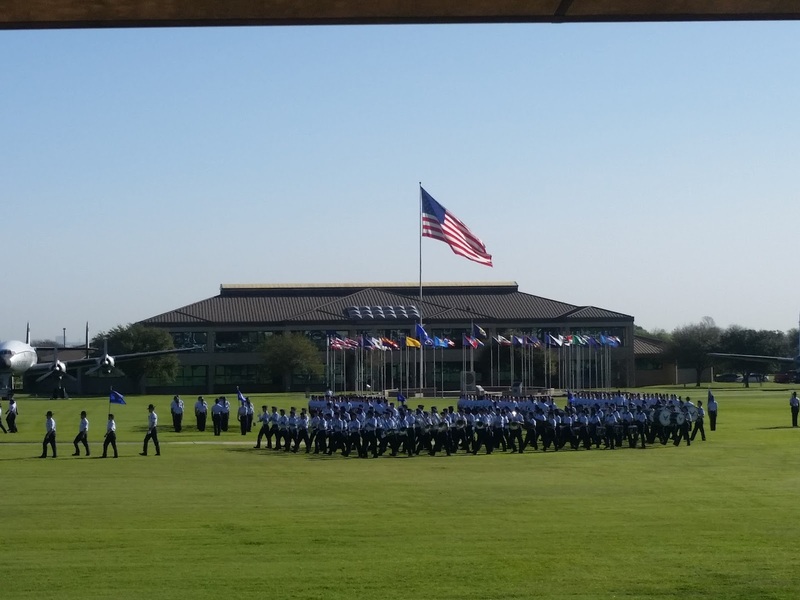 field and Airmen’s Enlisted Heroes Walk to reaffirm their “Oath of Enlistment”. Look for Alex with the Wyoming flag and Luis with the Arizona flag! 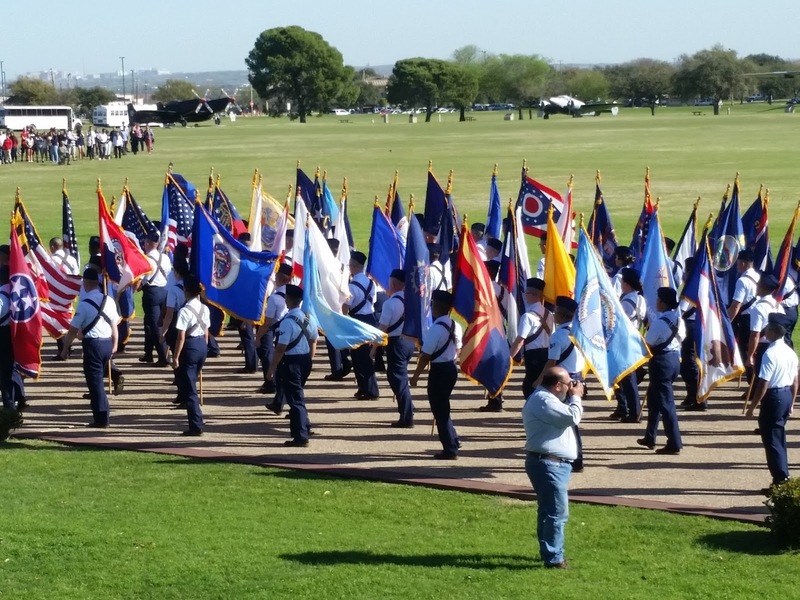 The field was huge; larger than a football field that’s parametered by a paved sidewalk with the War Birds historical aircraft positioned around the parade field. 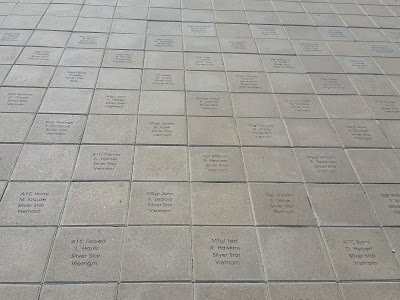 Where the first set of bleachers were located, their ‘march’ begins on the Enlisted Heroes Memorial; a symbolic 32’ x 32’ walk that is comprised of 1024 inlaid tan bricks. 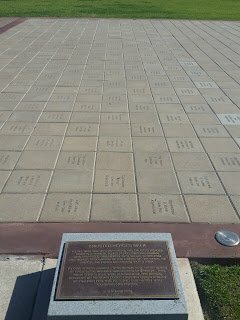 To date, approximately 175 of those bricks are etched with the Heroes names at the beginning of the bomb run with their rank, decoration and war participated. These heroes earned the Medal of Honor, Air Force Cross or Silver Star. You could feel their story as you read each Hero’s name. 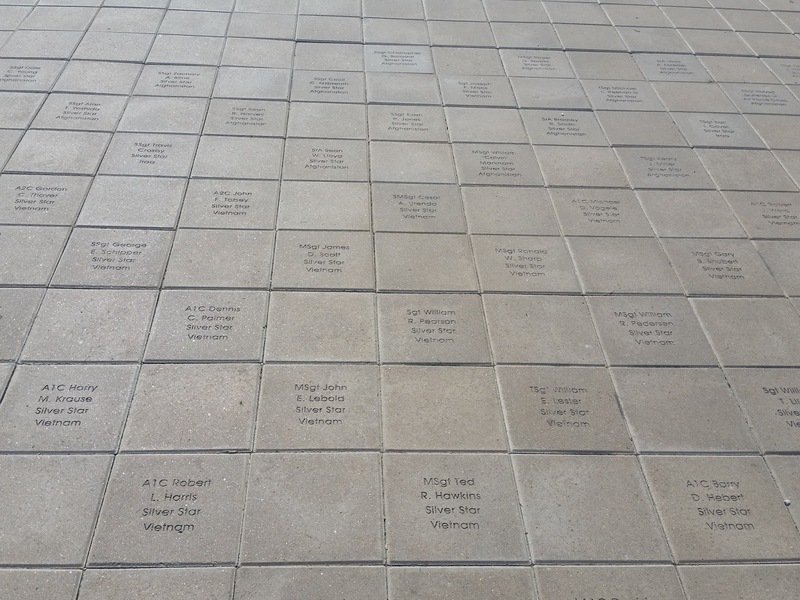 Every graduate marches over these bricks to remind them of the journey they are about to embark on as new Airman of the United States Air Force and to reflect on the significance of their enlisted heritage; realizing there are heroes amongst them as well as heroes past. Mass exodus of families from the bleachers. families to come for them. professional with their military bearing was exemplary. 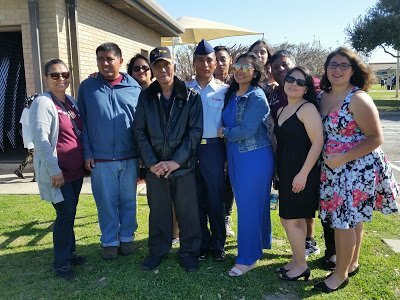 family, he loosened up a bit and I even got a hug from Luis and a thank you for photographing this important event. 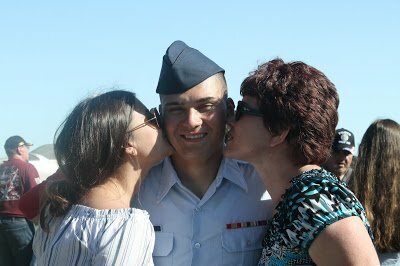 I noticed he let out a little grin as his Mom kissed his cheek. years myself of those priceless private moments. 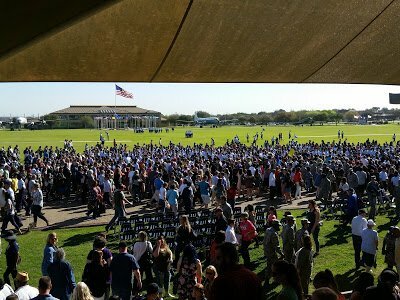 These are just a few of the many photos I took that wonderful day. 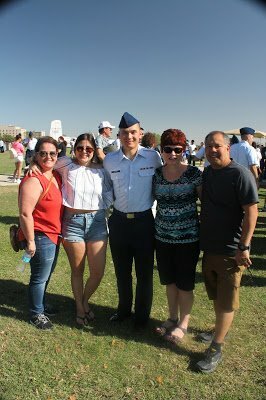 It was an honor to share these moments with two amazing families who have embarked on their own journey; one of…duty, committment, honor and service. 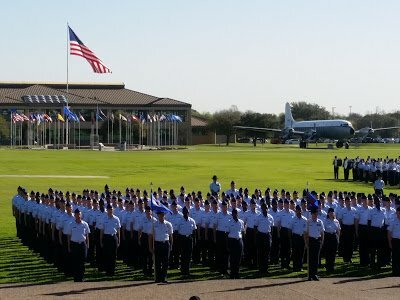 If you’re in the San Antonio area, include a Friday in your visit so you can witness another 700+ men and women march into their new rolls as United States Air Force Airmen and perhaps you’ll meet some our Nation’s next great generation. 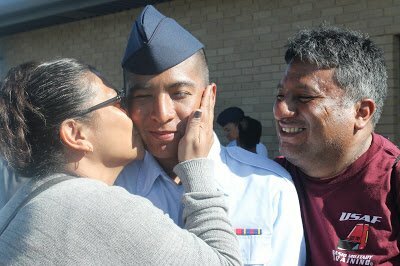 If you are reading this Austin and Luis, blessed thoughts to you both in your futures as Airmen. Dan and I wish you success and pray for your safety in all you and journeys you embark on. 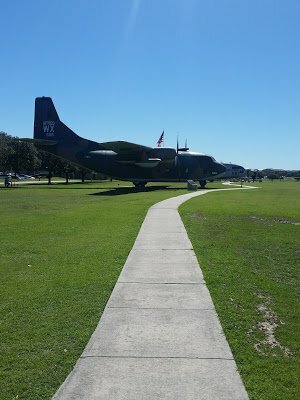 Semper Paratus! 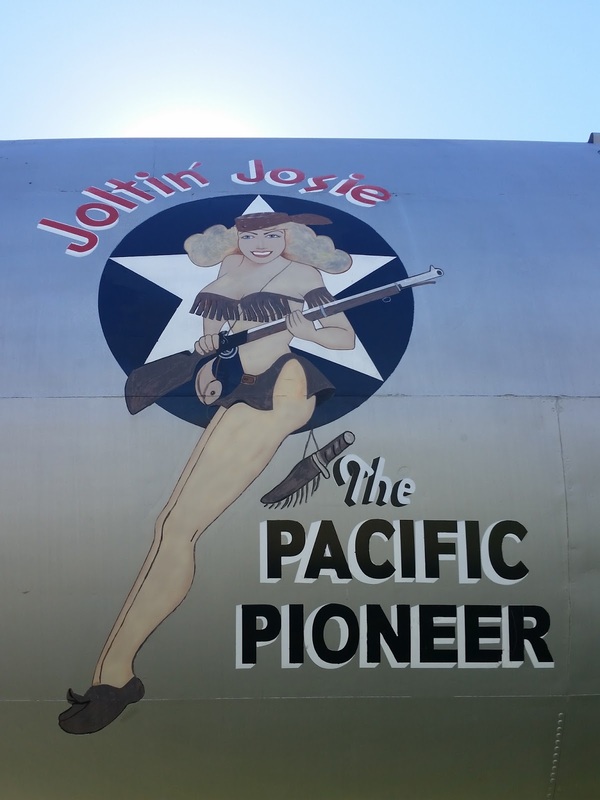 Blogger’s Note: When I post ‘Airman’ or ‘Airmen’, I did not purposely disqualify or exclude women. As a woman Veteran myself, changing labels or titles for the sake of gender, in my opinion, does nothing but create division and lessens cohesiveness. 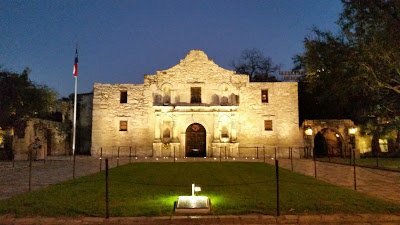 Did you know March 6, 2017 was the 181st Anniversary of the Siege of the Alamo. 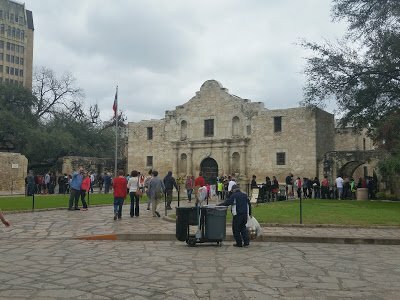 How many of you, without Googling, could tell what happened there and why the Alamo is such an important historical site? 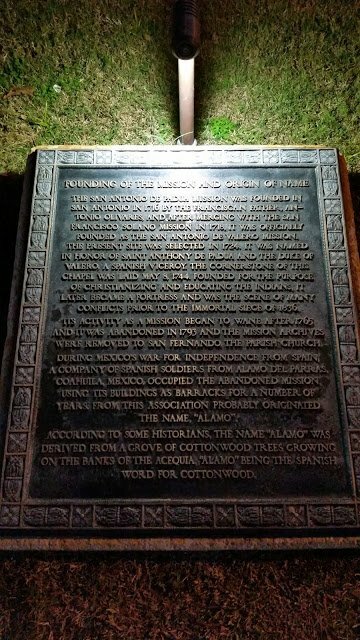 …the Alamo is the home of the 1836 battle where heroes, Esparza, Crocket, Bowie, and Travis died fighting for freedom. Their sacrifice helped birth Texas and globally, put it on the map. Their call for aid and refusal to surrender in the face of overwhelming odds stirred America and the world. The seige lasted 13 days but there’s tons more in history to learn about the 13 days of siege of the Alamo. Today, the Alamo is the heart of San Antonio and is Texas’ most visited historic landmark and we made it a point to visit it, inside and out. Its not a far walk to the Riverwalk, so put this on your San Antonio To-Do’s. The one thing that just surprised us was just how small it really is…the building that is and inside the fort area. In movies, it shows a much larger image but the fact is, it’s quite small and takes up very little real estate. It’s located in the middle of the city amongst towering modern buildings and shopping all around it. The amazingly beautiful, architectured 300-year old former Spanish mission-turned-fortress is a great exhibit open year-round; free for school groups, families, travelers and all who visit and experience first hand the battlefield and hallowed grounds. 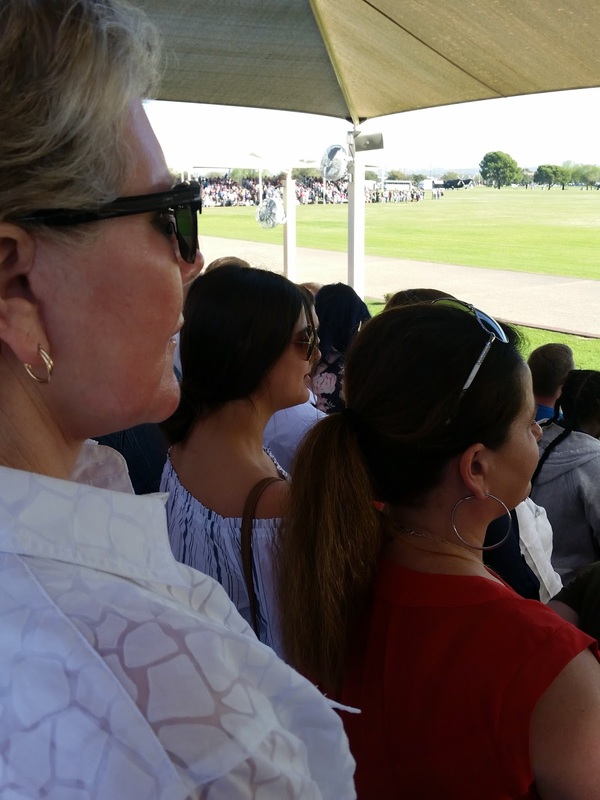 Literally, the hair on the backs of our necks stood up as we walked graciously with each step. The night we took these photos was actually a rarity to enjoy this…no people. We consider ourselves lucky as we have walked by it several different times of the day on different occasions only to see it swarmed with visitors making it difficult to get good National Geographic type photos. These are OUR photos. This is what it normally looks like during the day, so you see what an incredible gift it was to get to see it ‘naked’. 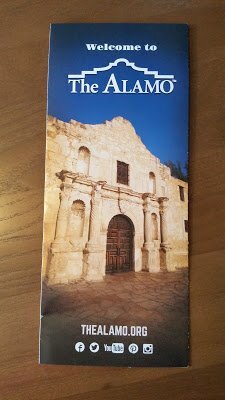 Though we didn’t get to attend the 13 days of interactive living history events to commemorate the 181st anniversary of the 1836 siege and battle of THE ALAMO this year, we DID get to go last year this time when our son was in town visiting. We went on a 1-hour guided tour by Alamo History Interpreters exploring the story that made Texas famous. 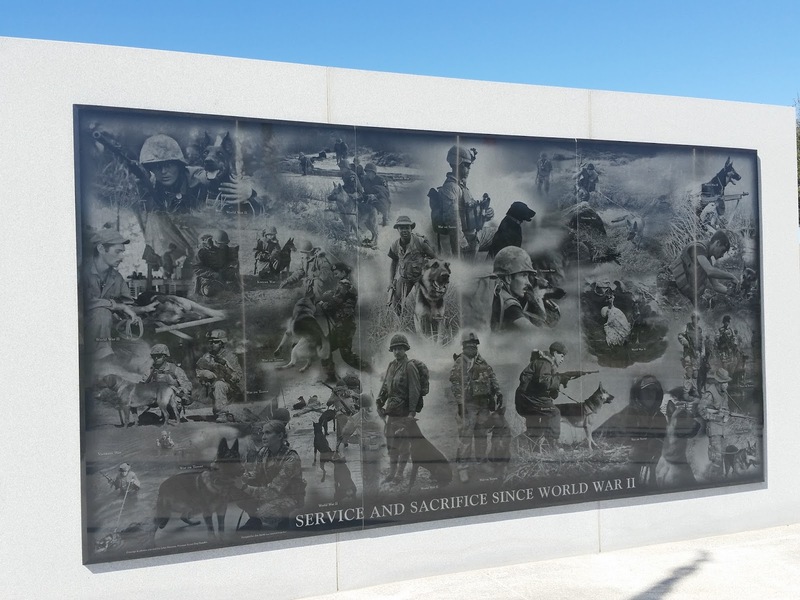 We learned about the events and heroes that endured hardship, gallantry and valor. 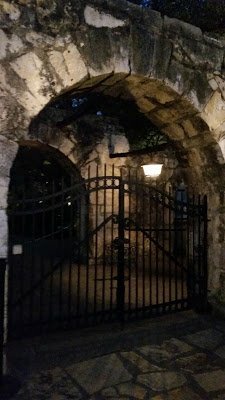 Our ‘guided tour’, cost us $30 but was well worth the money, took us along the original footprint of the Spanish mission and ended inside the Alamo Church. The exhibits were very well done with artifacts and chronological historical lineage on plaquards. Just a note, no photography inside the building of artifacts is permitted. So, today, we tip our hats to Texas history today!! Never forget THE ALAMO!